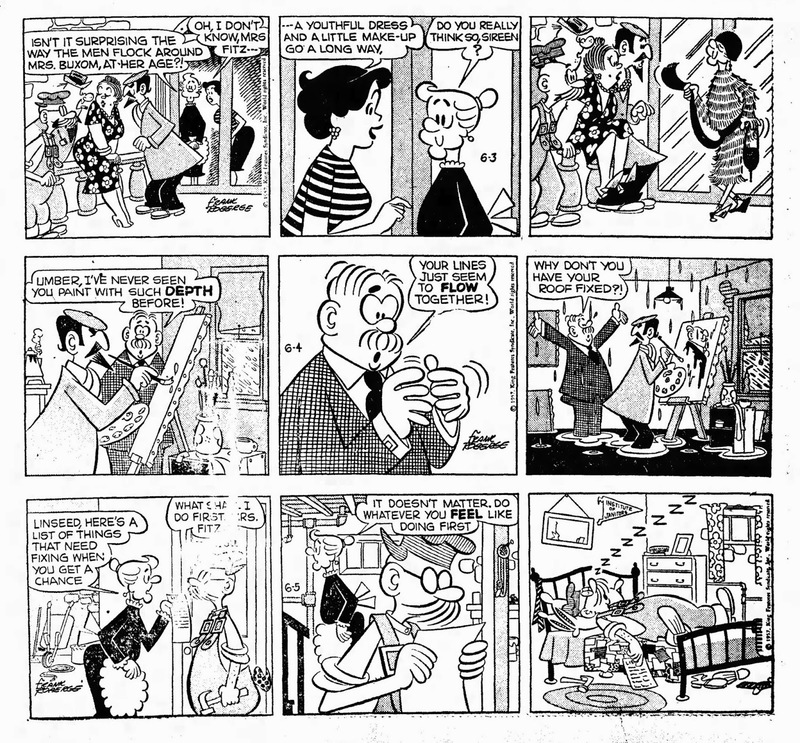 I recently came across an online newspaper that had an interesting run of two strips I like to share here. 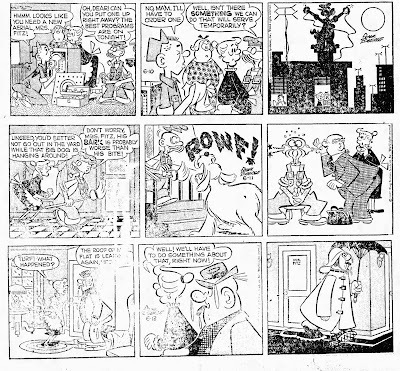 Because the paper was only twice weekly, they carried both strips three dailies at the time, making it possible for me to clip a larger set than usual. 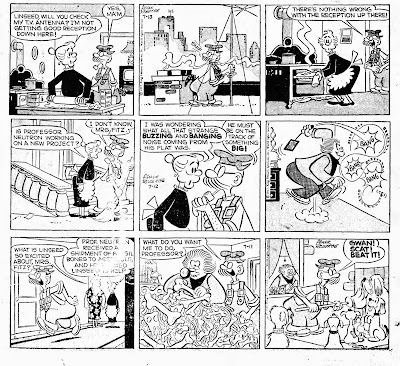 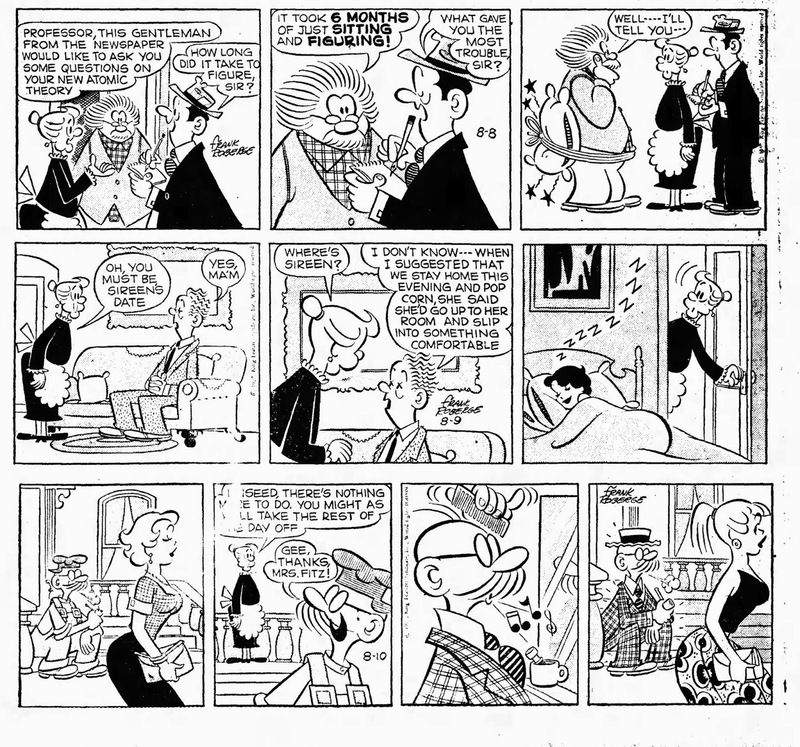 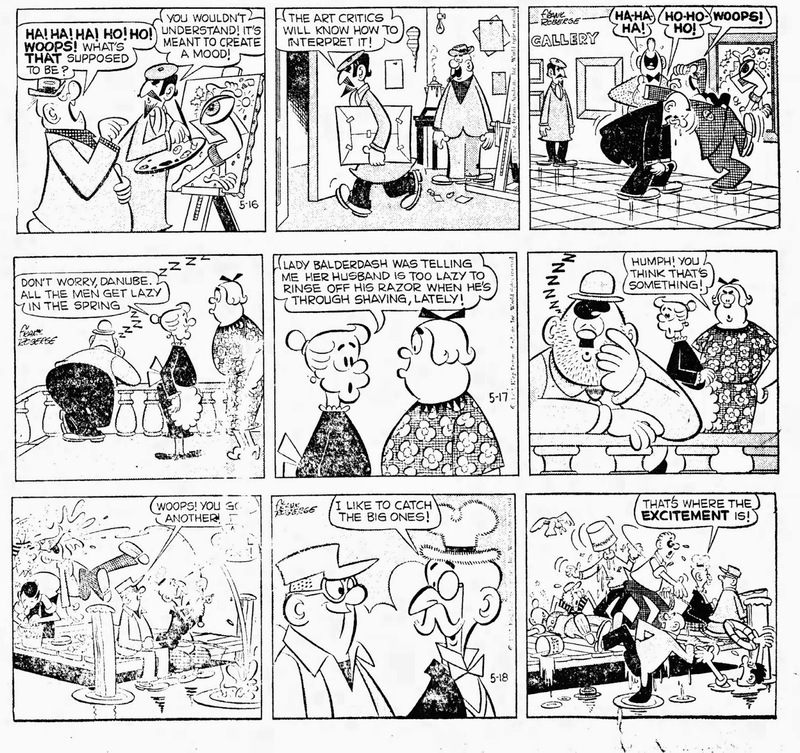 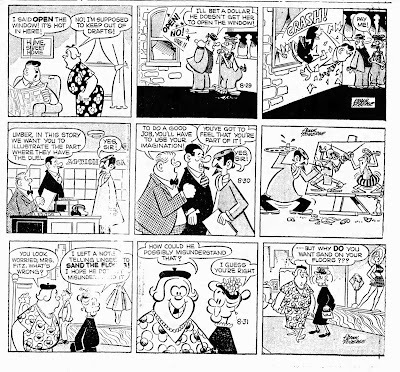 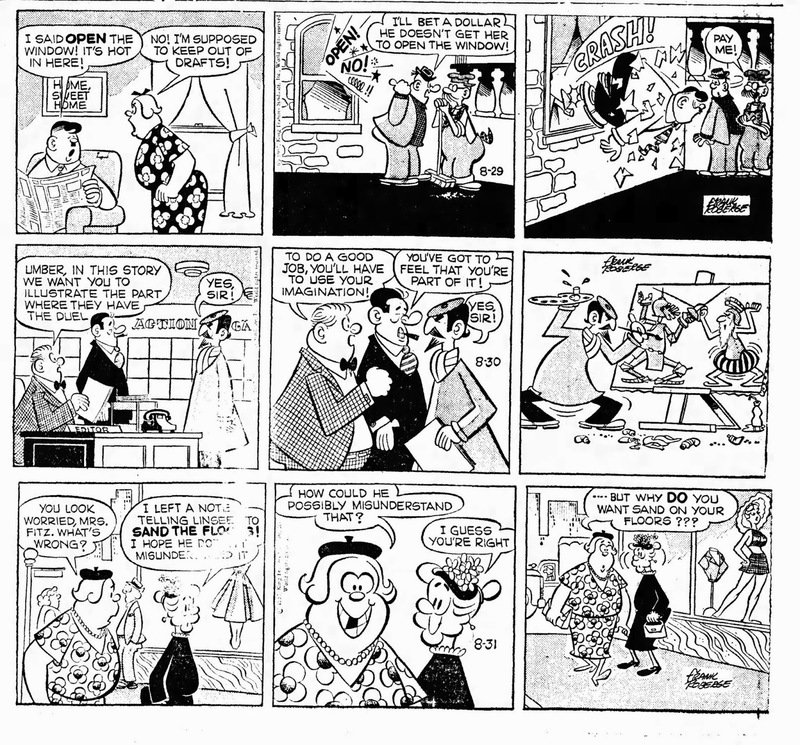 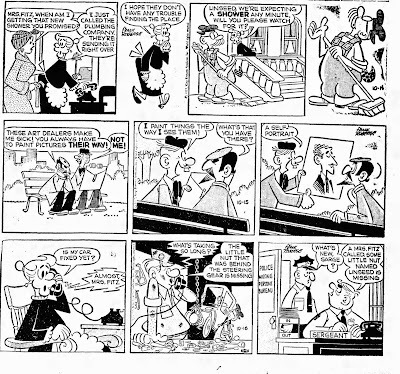 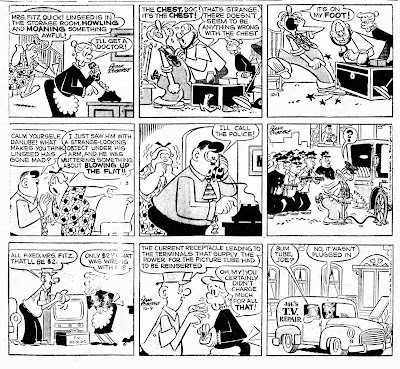 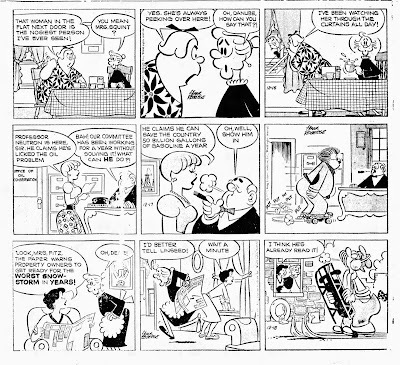 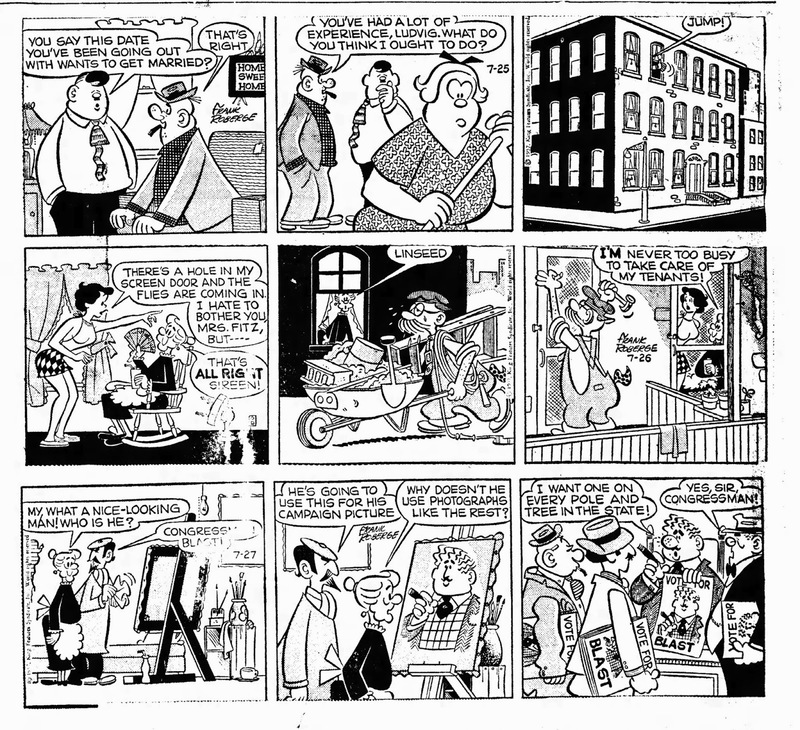 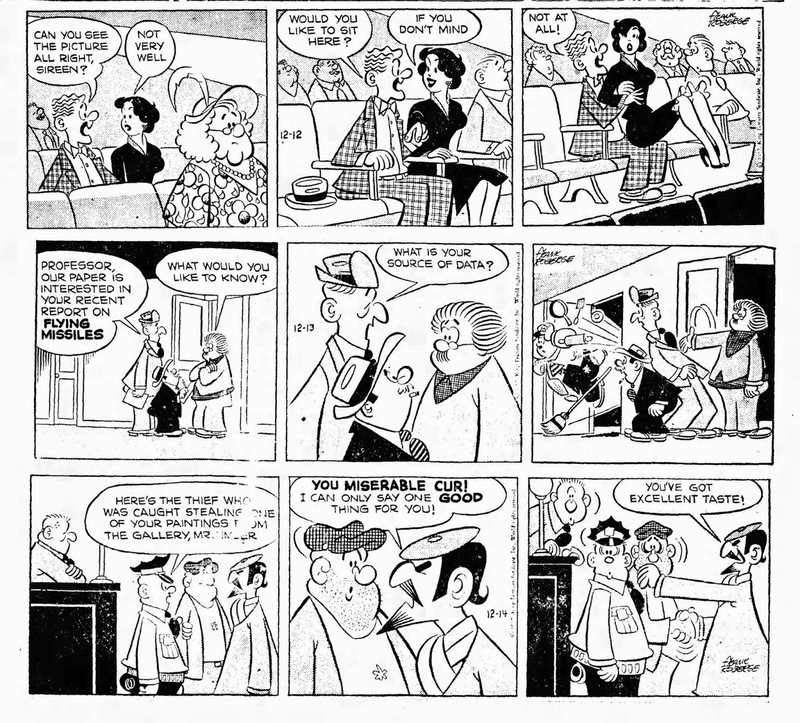 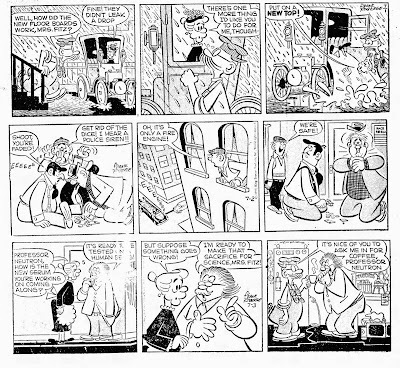 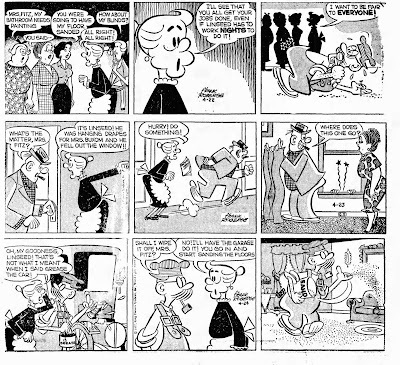 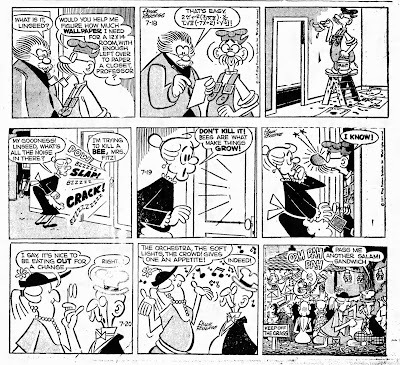 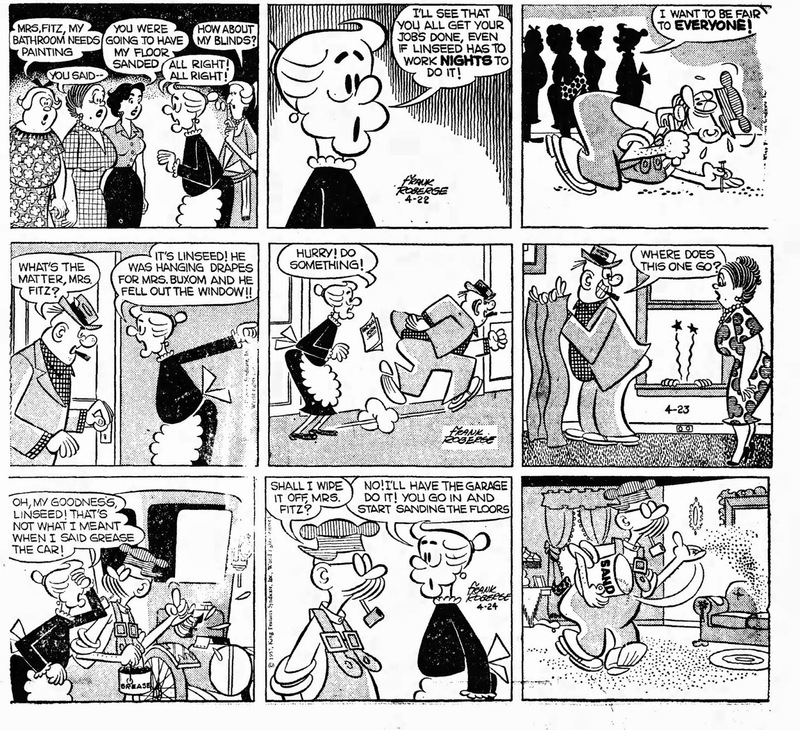 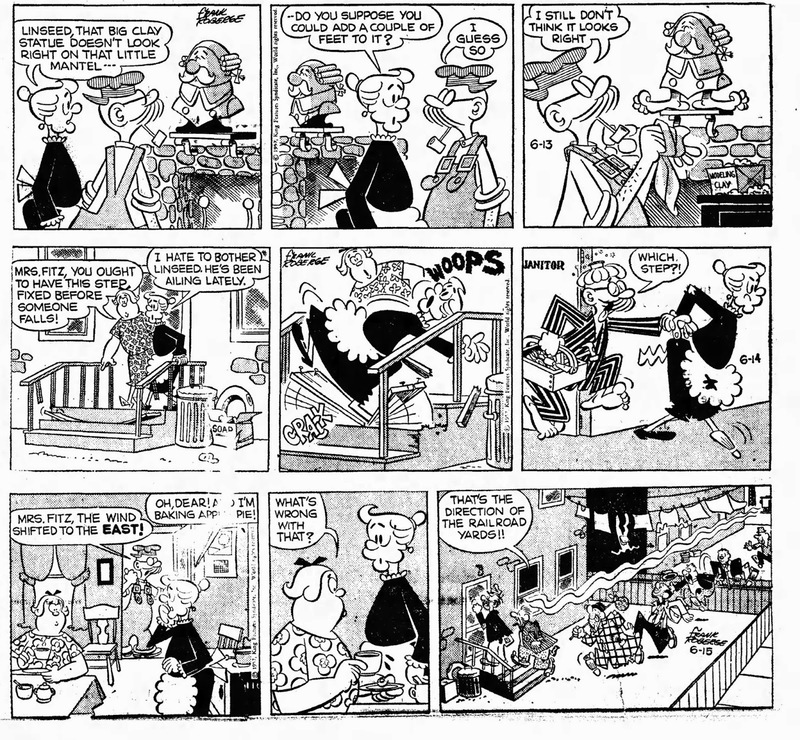 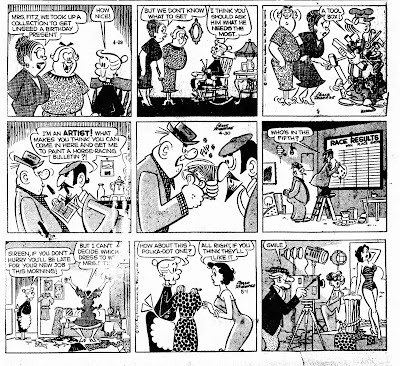 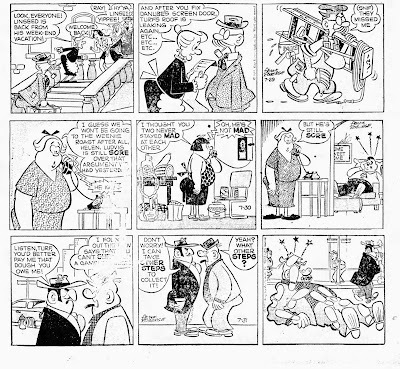 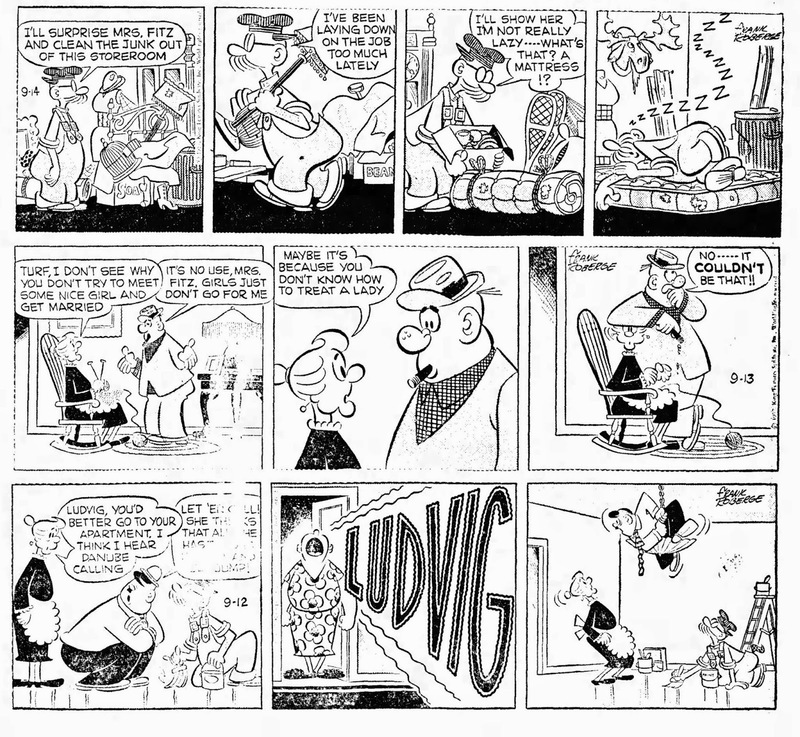 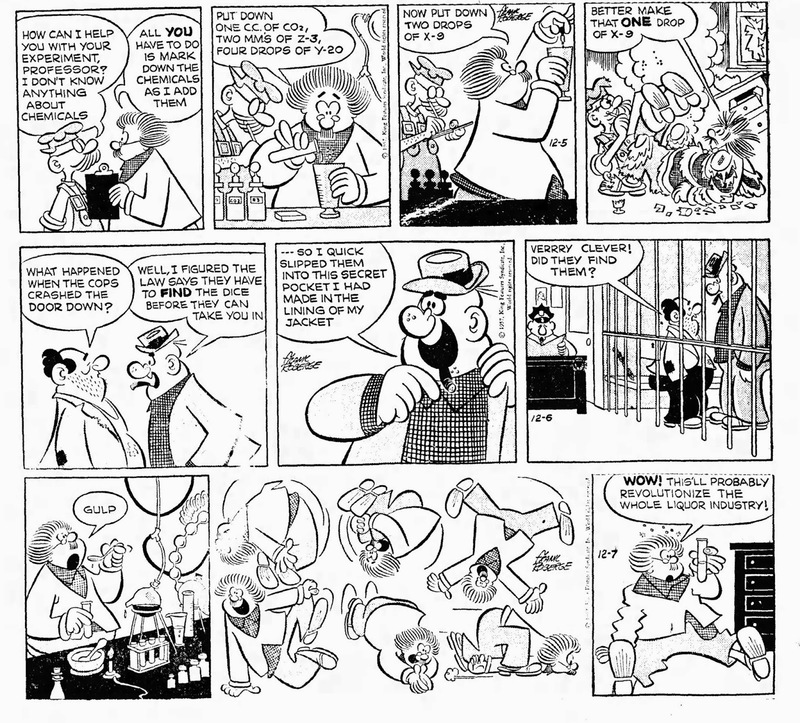 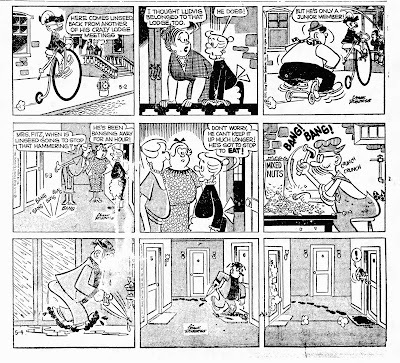 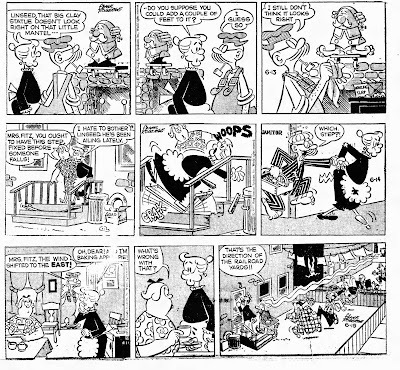 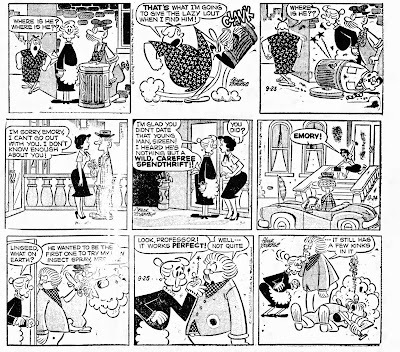 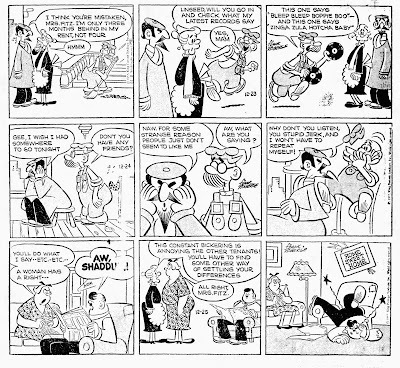 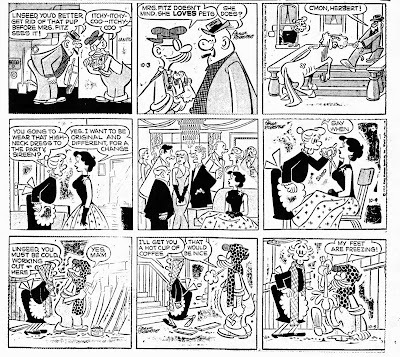 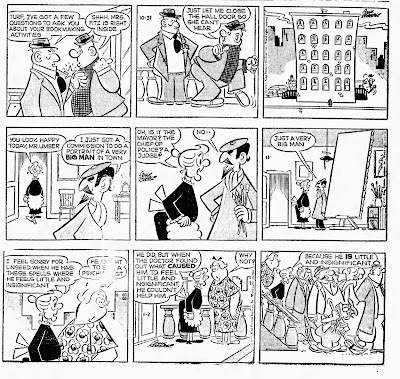 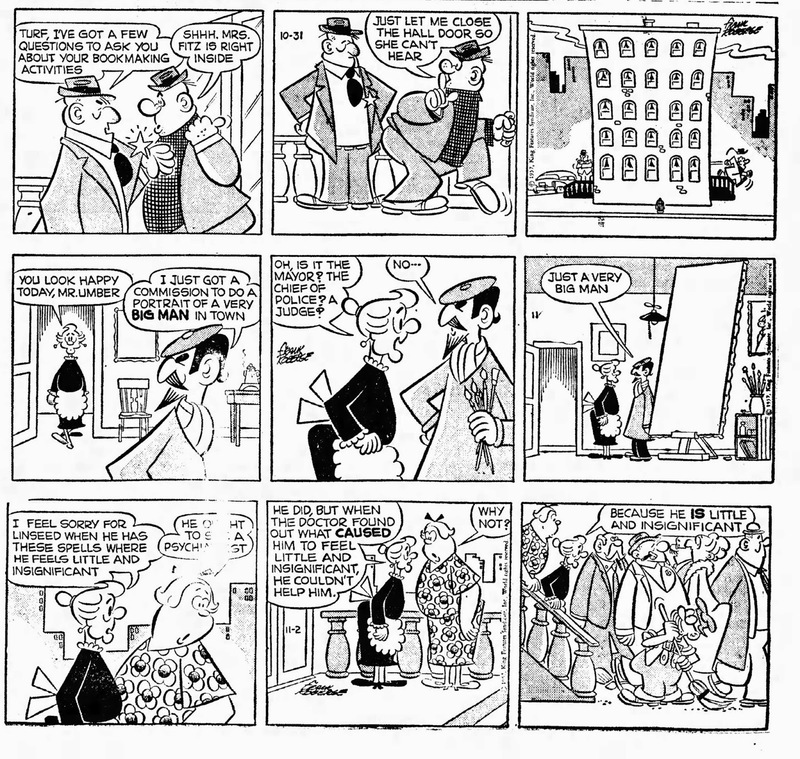 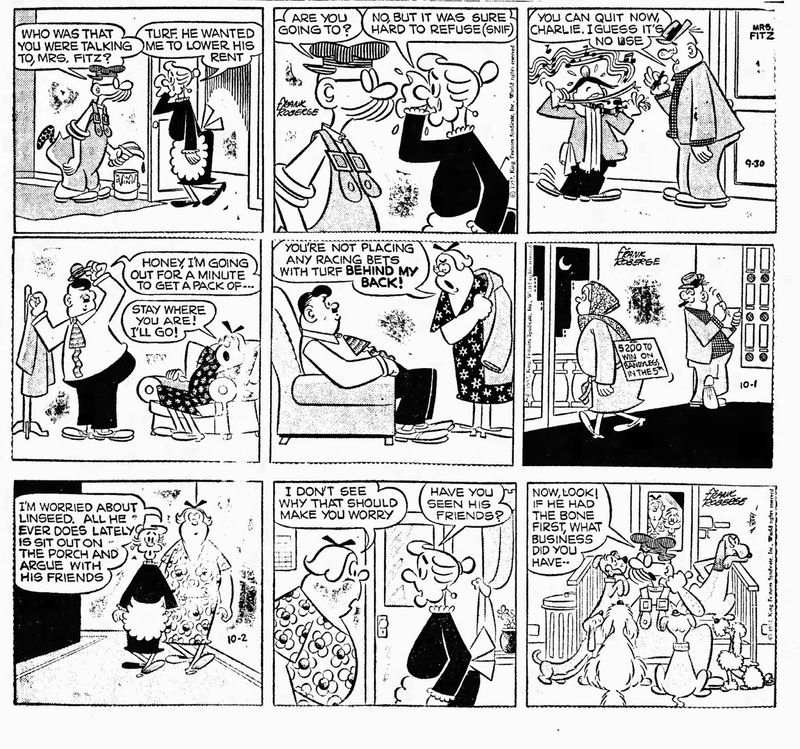 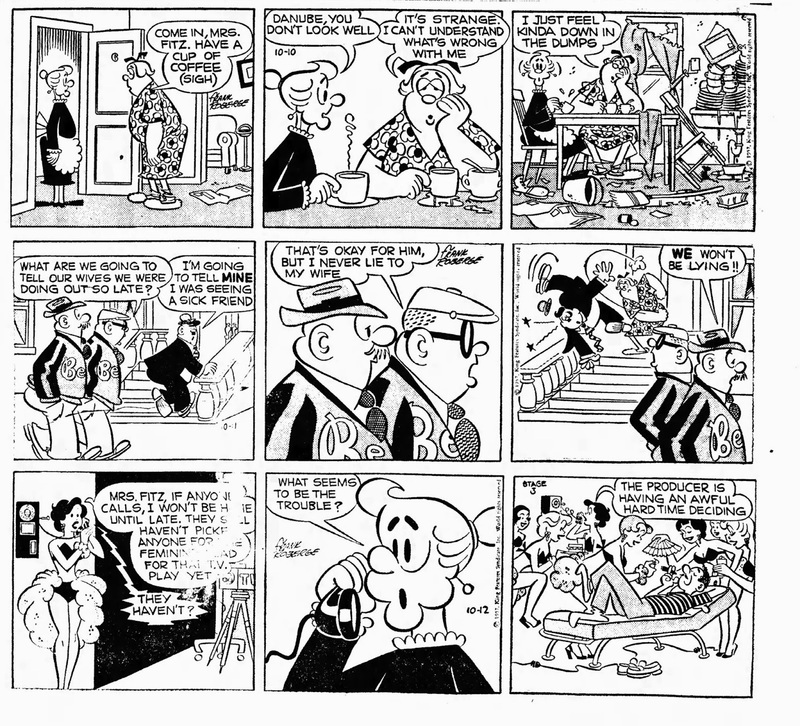 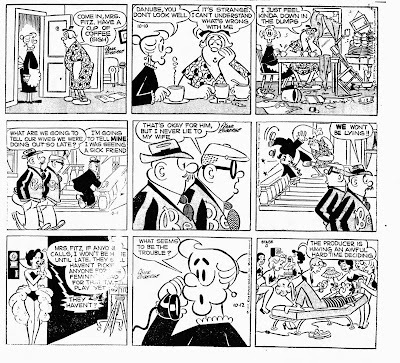 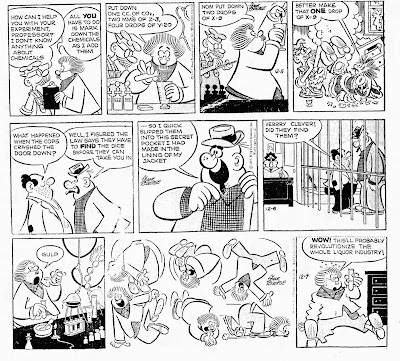 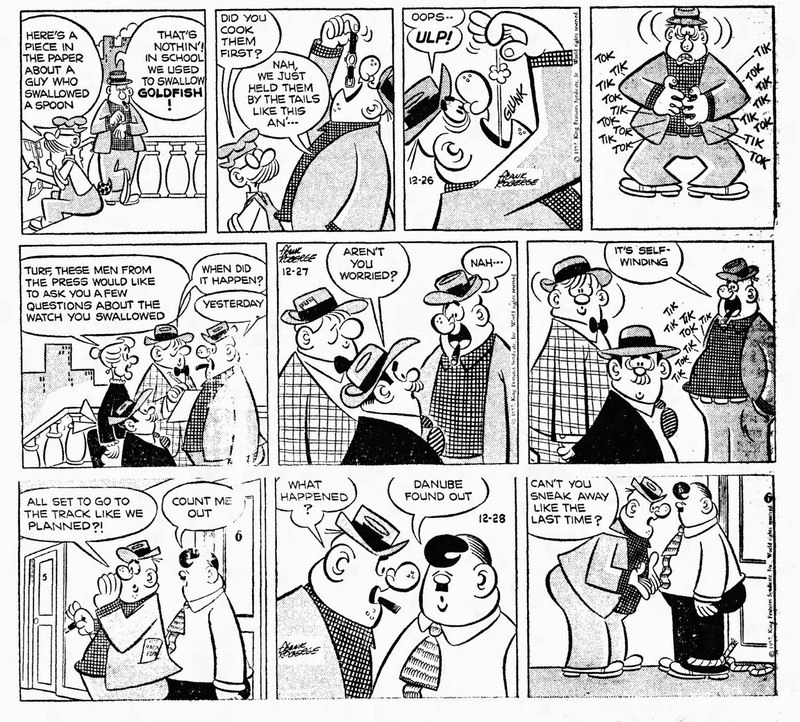 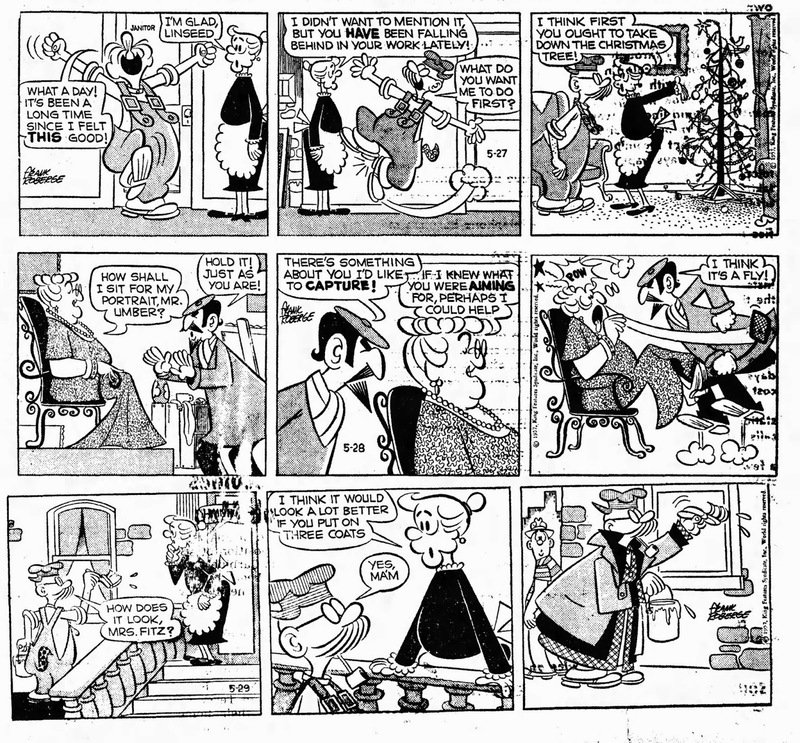 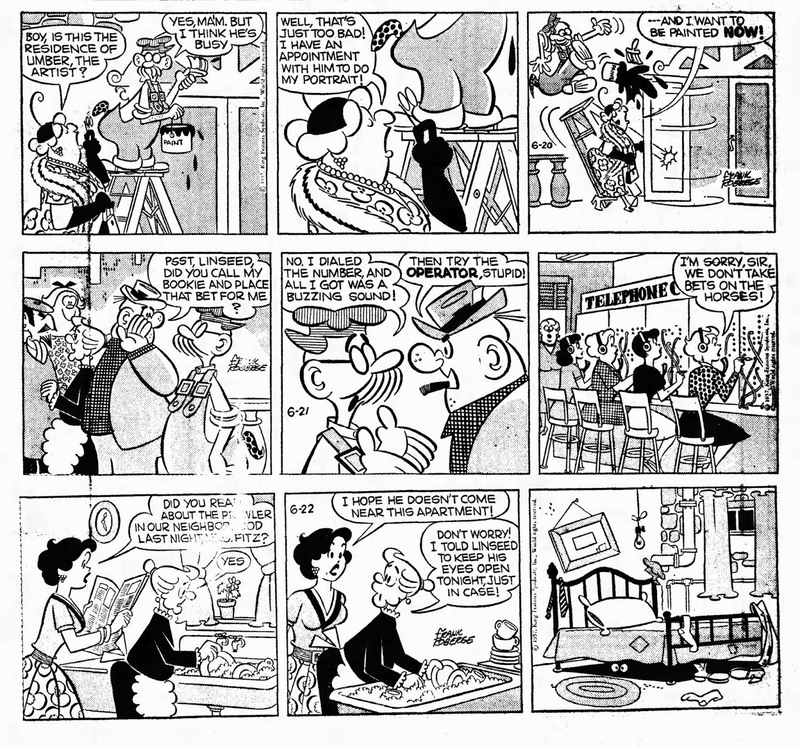 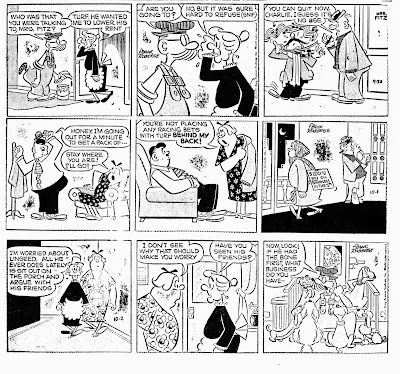 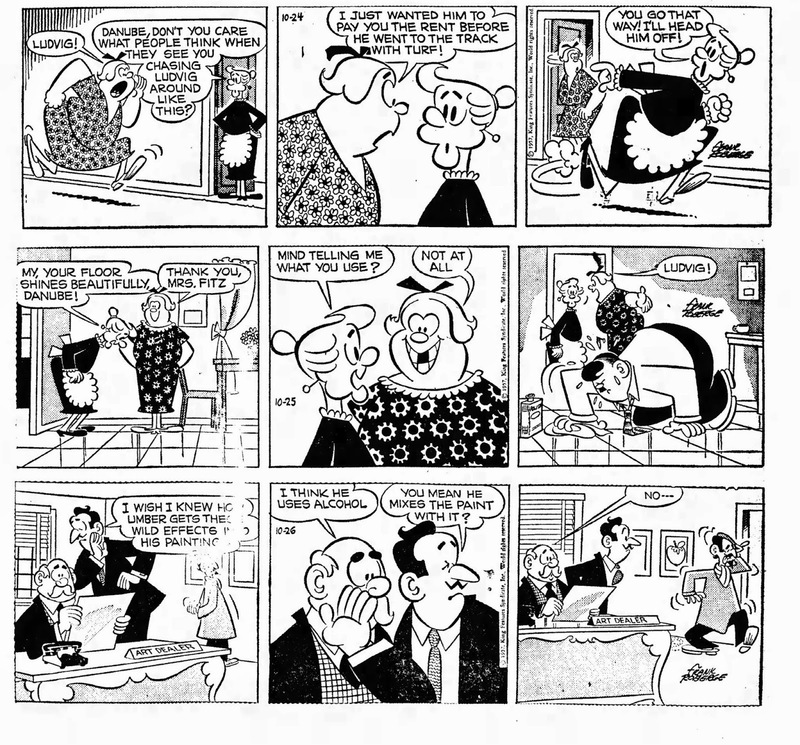 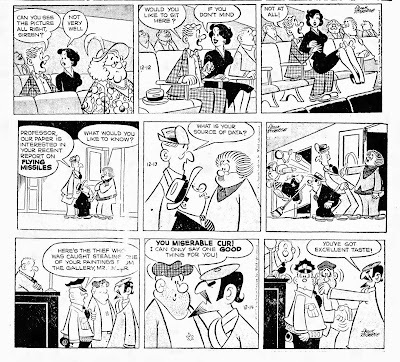 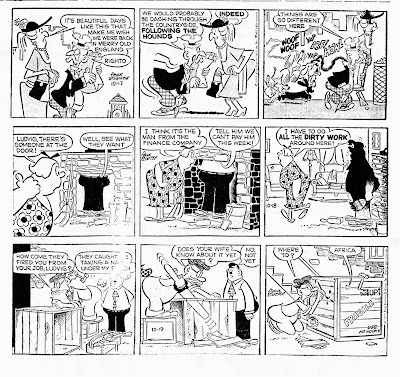 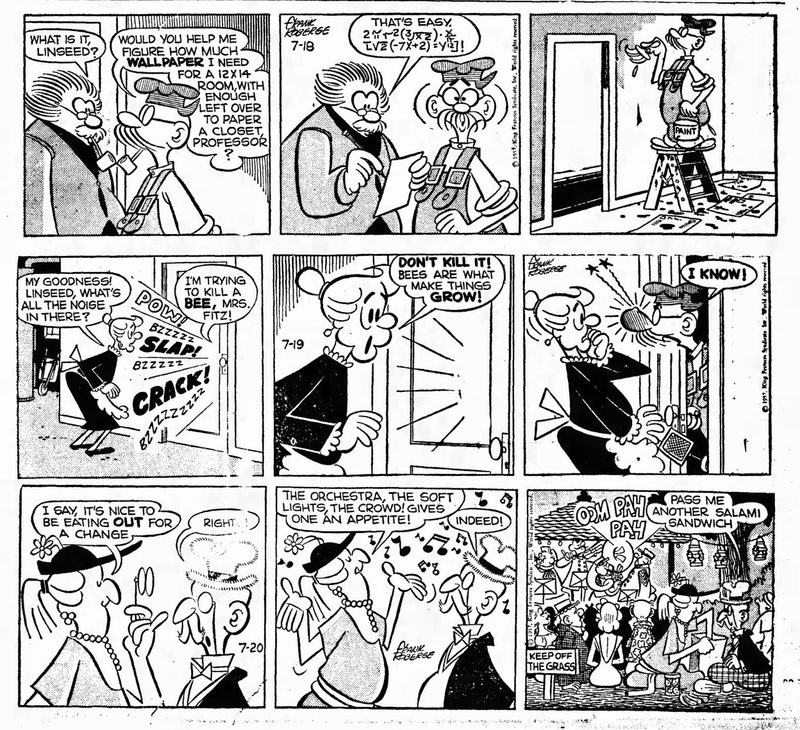 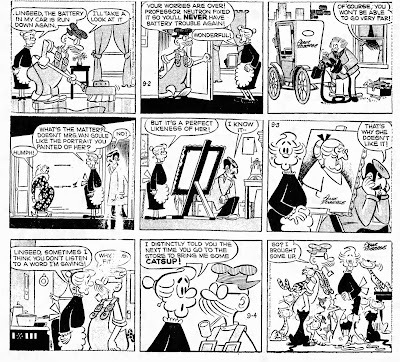 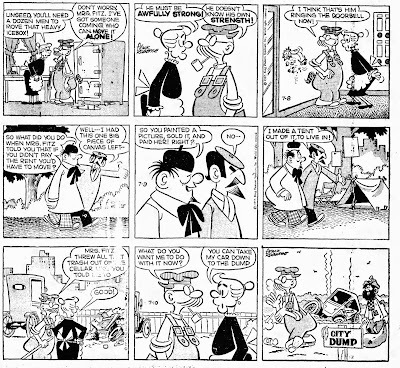 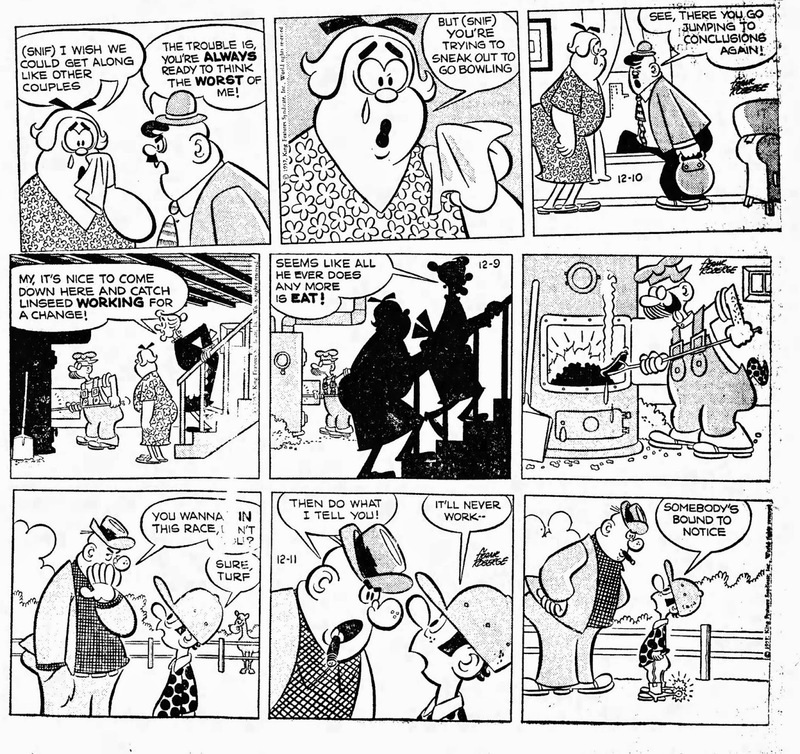 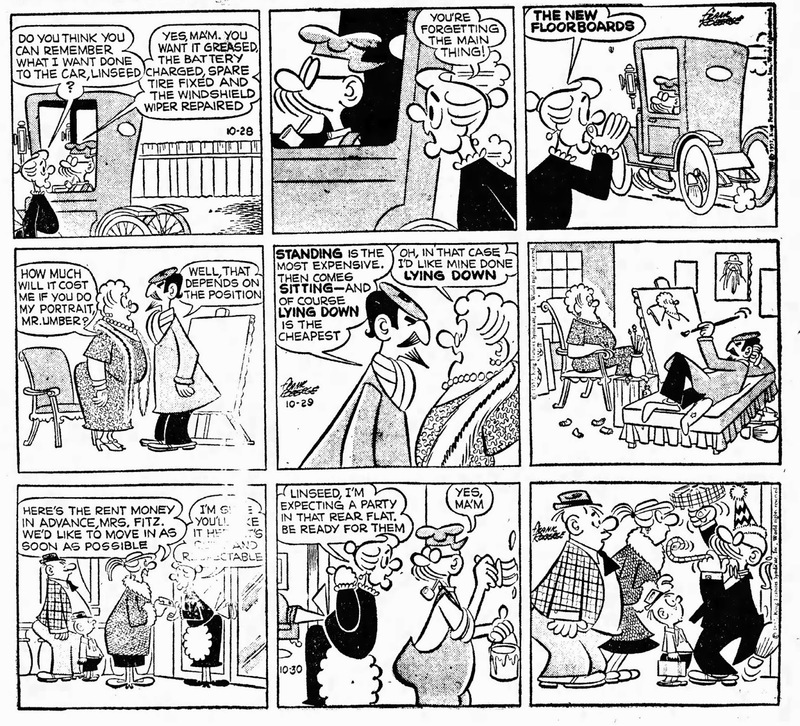 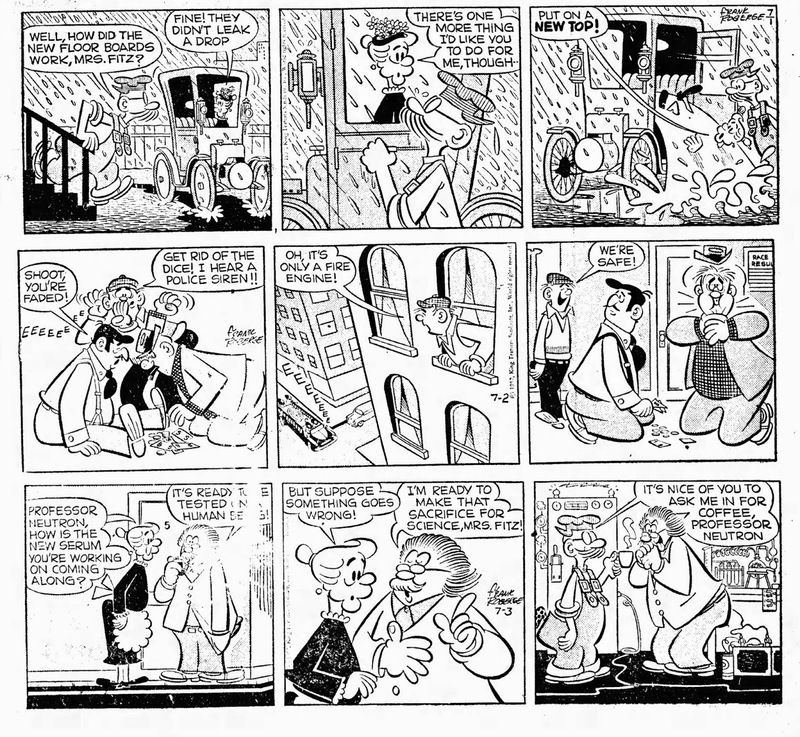 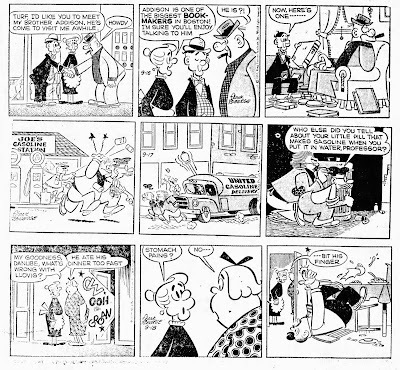 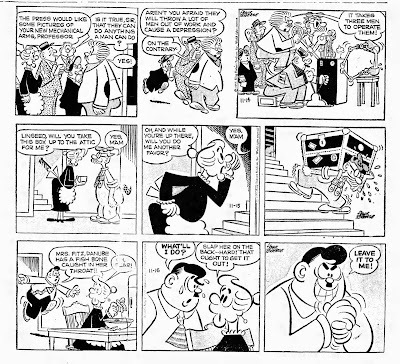 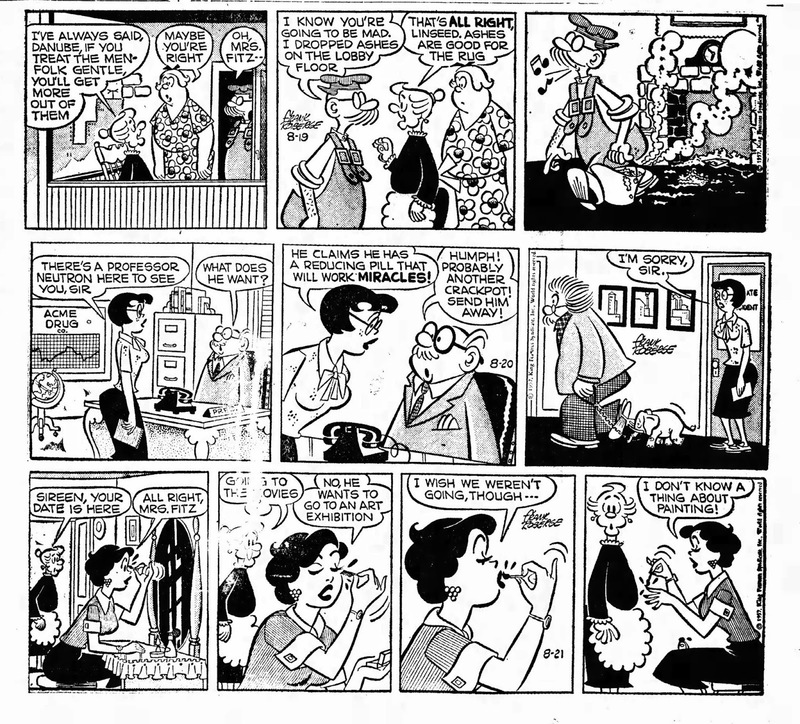 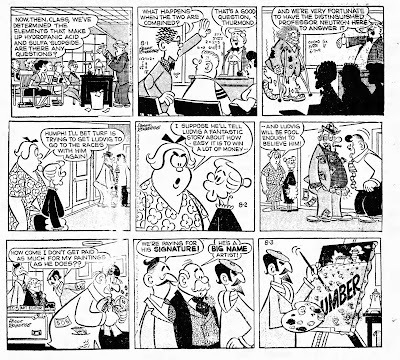 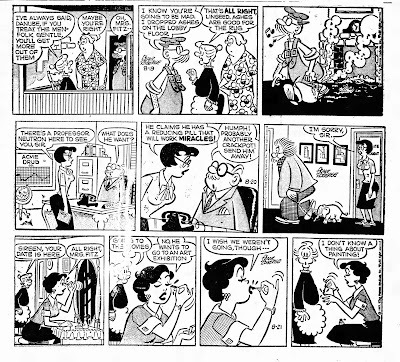 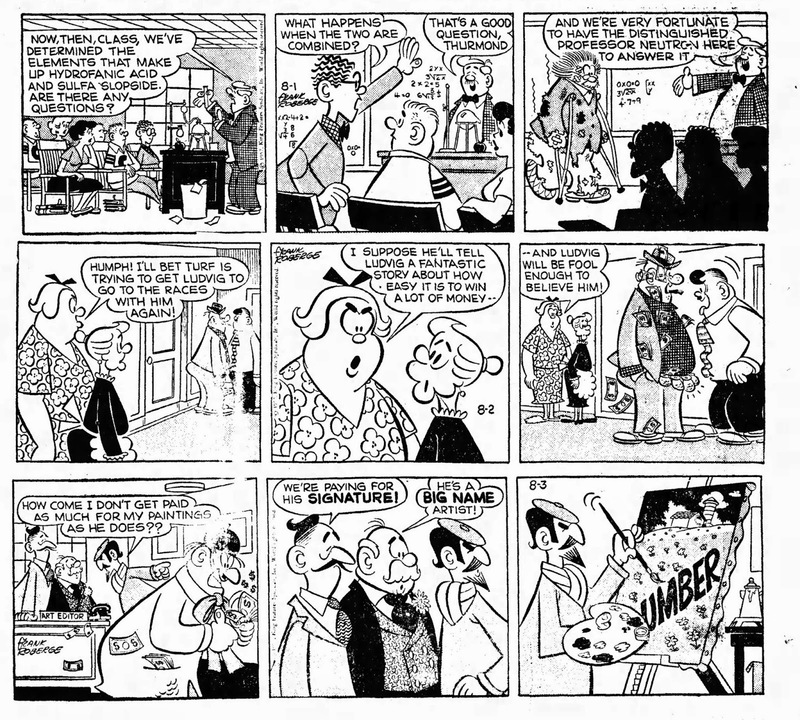 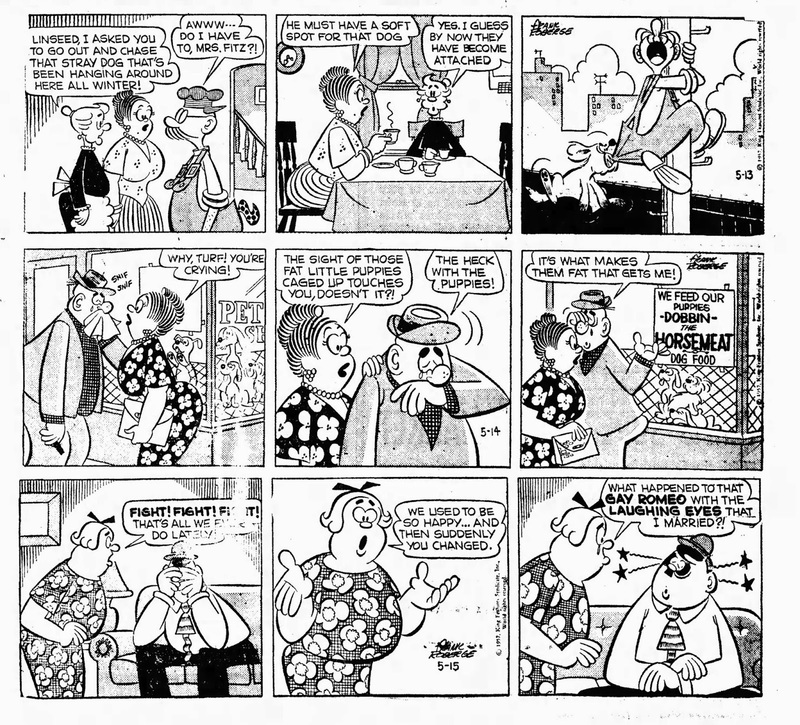 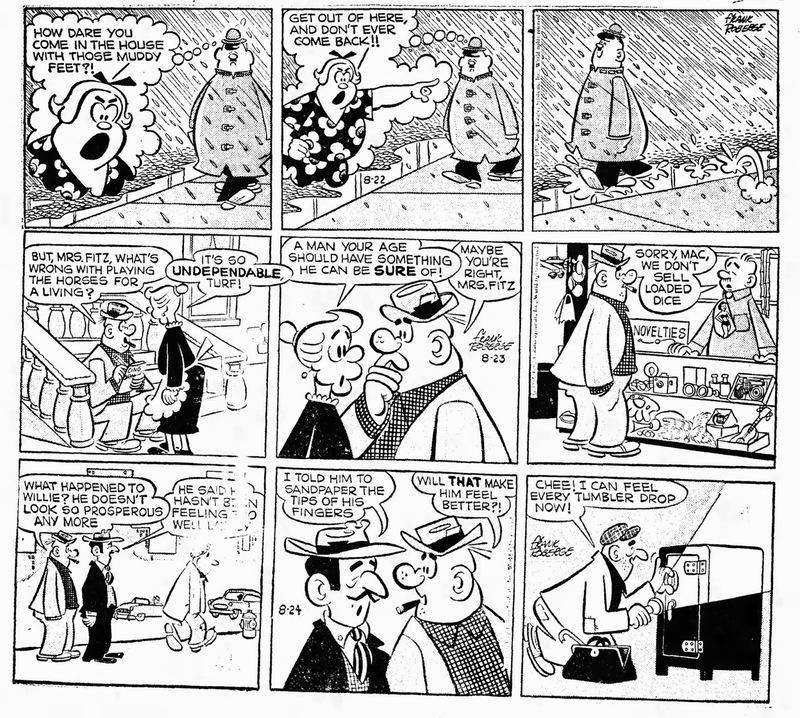 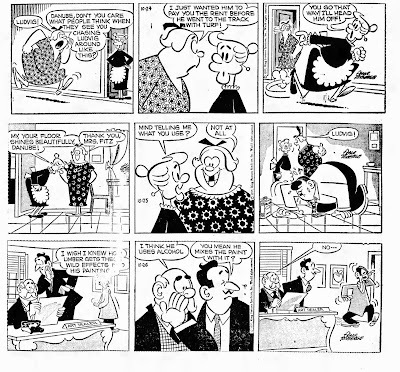 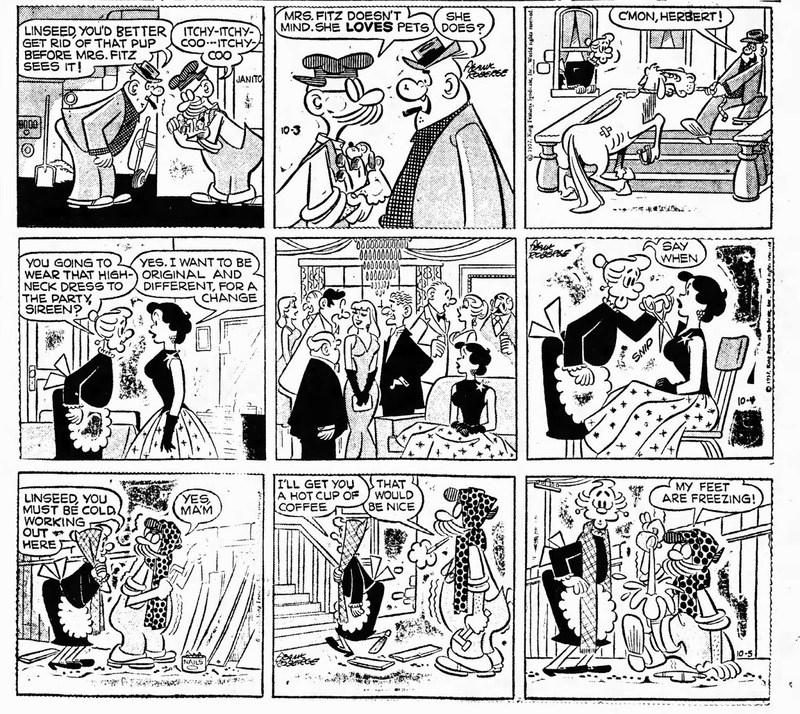 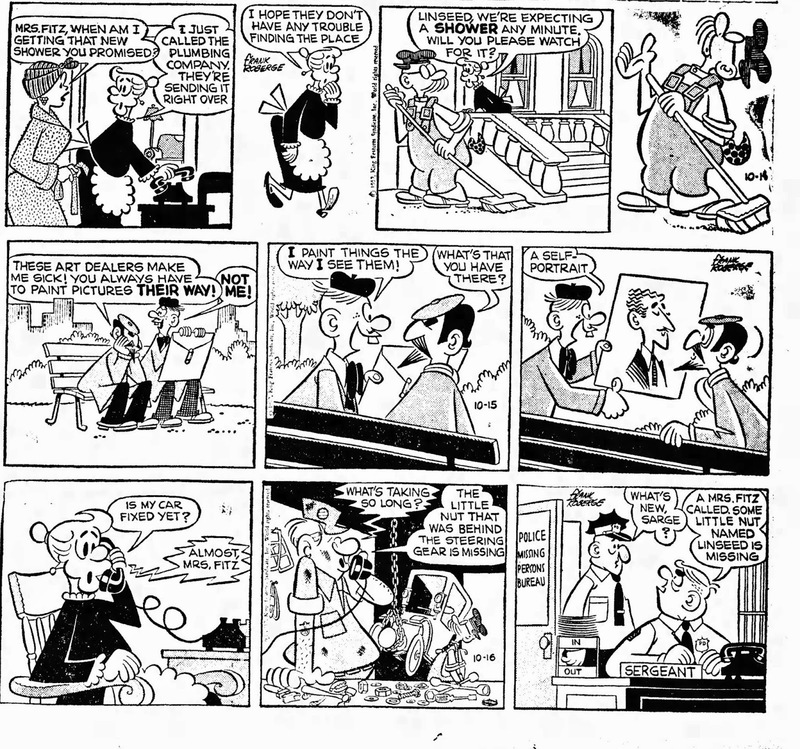 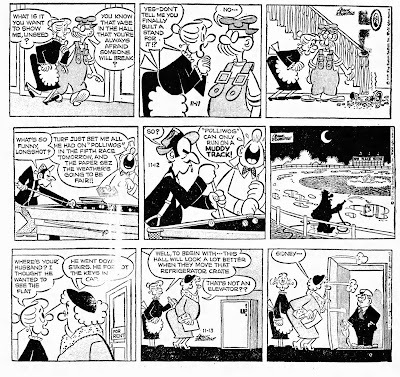 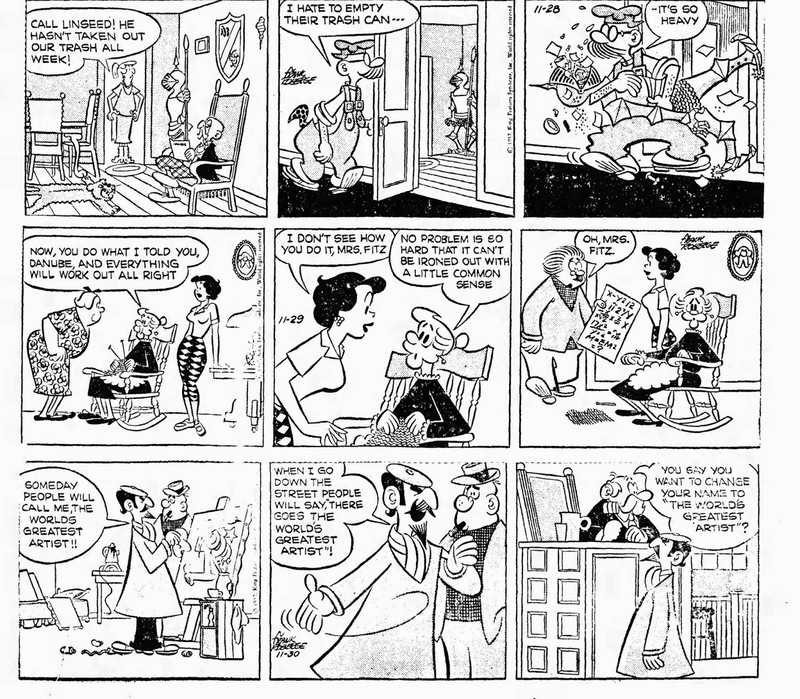 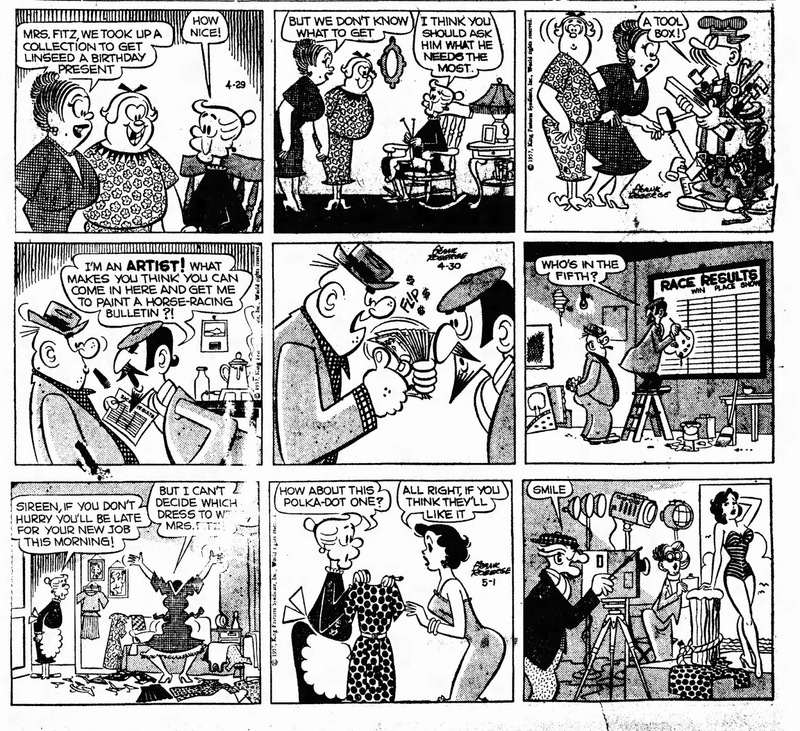 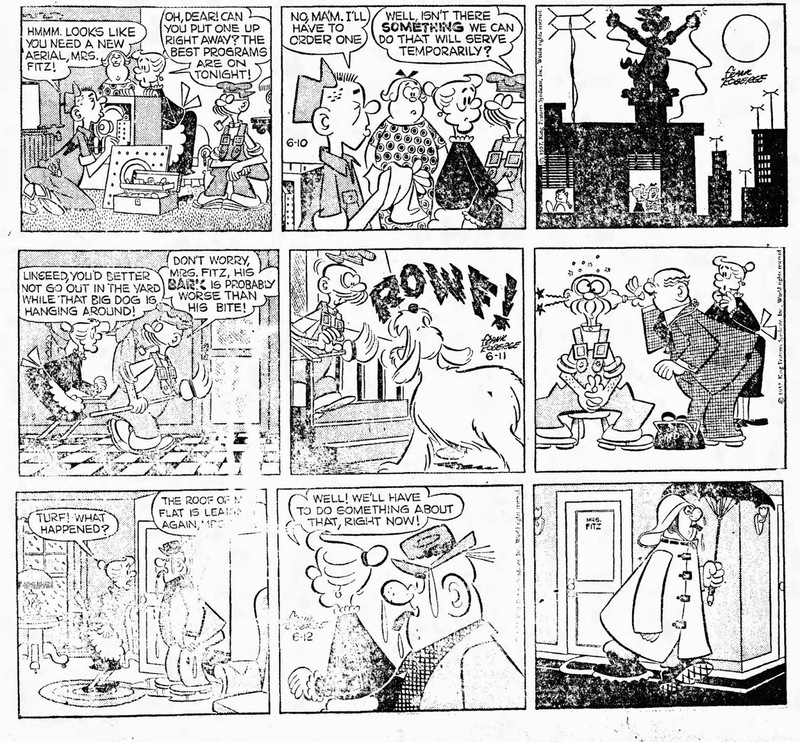 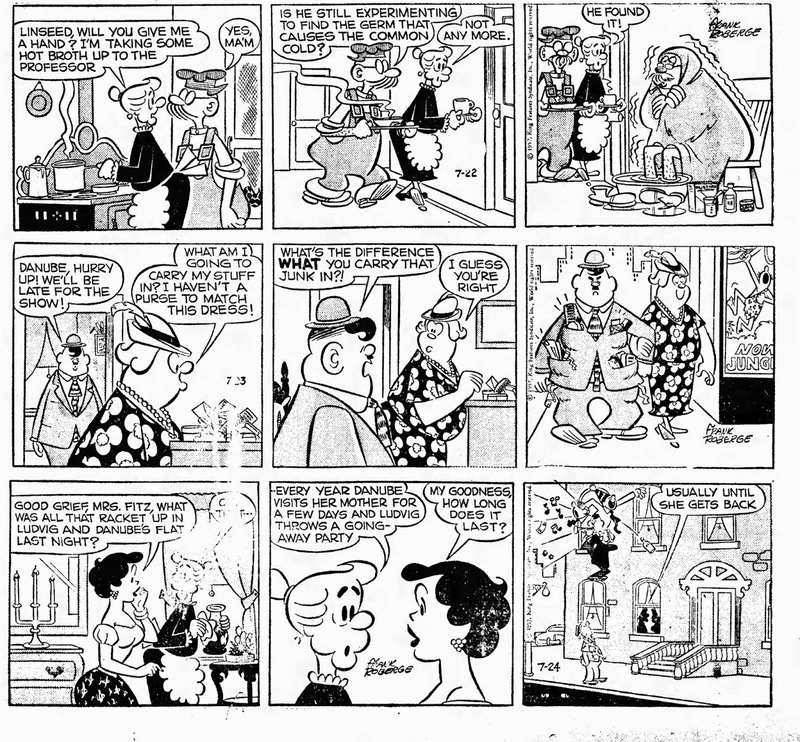 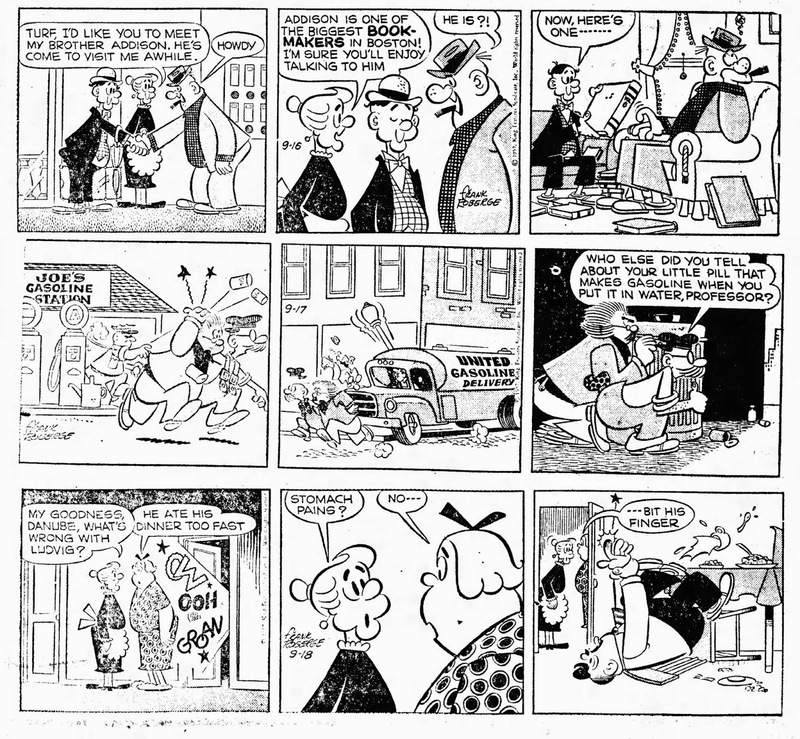 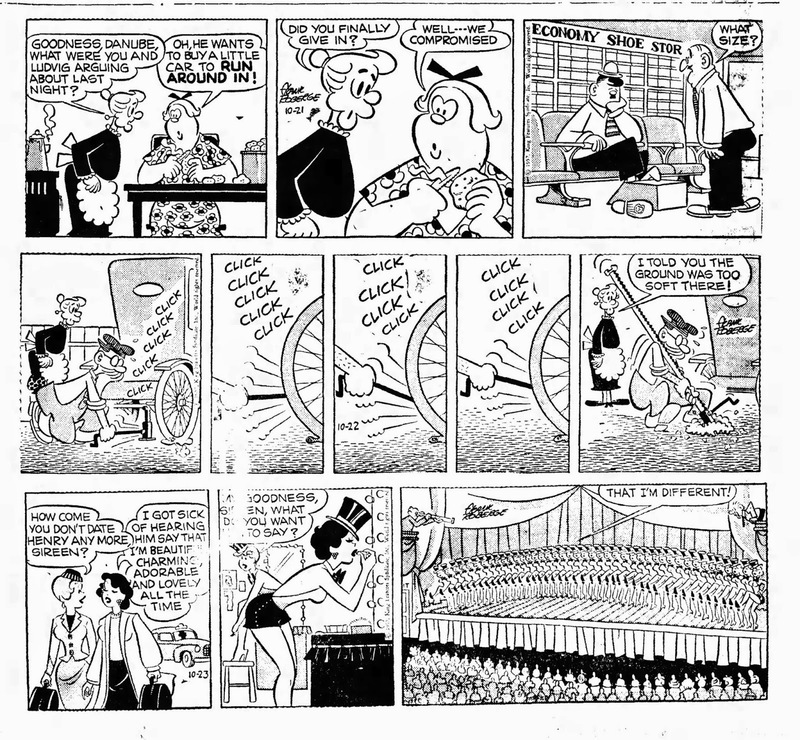 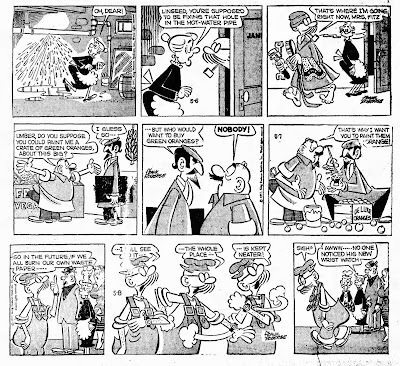 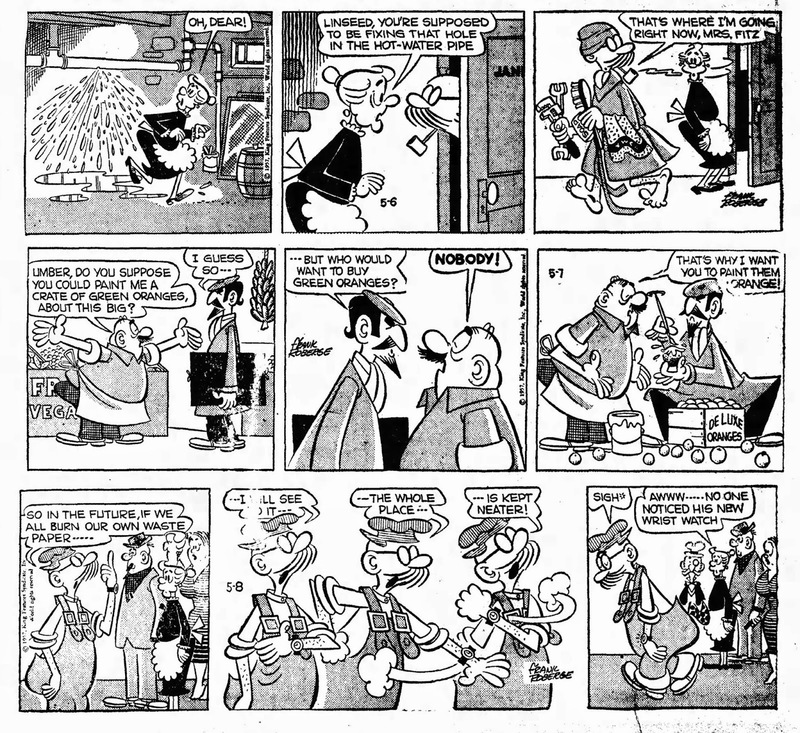 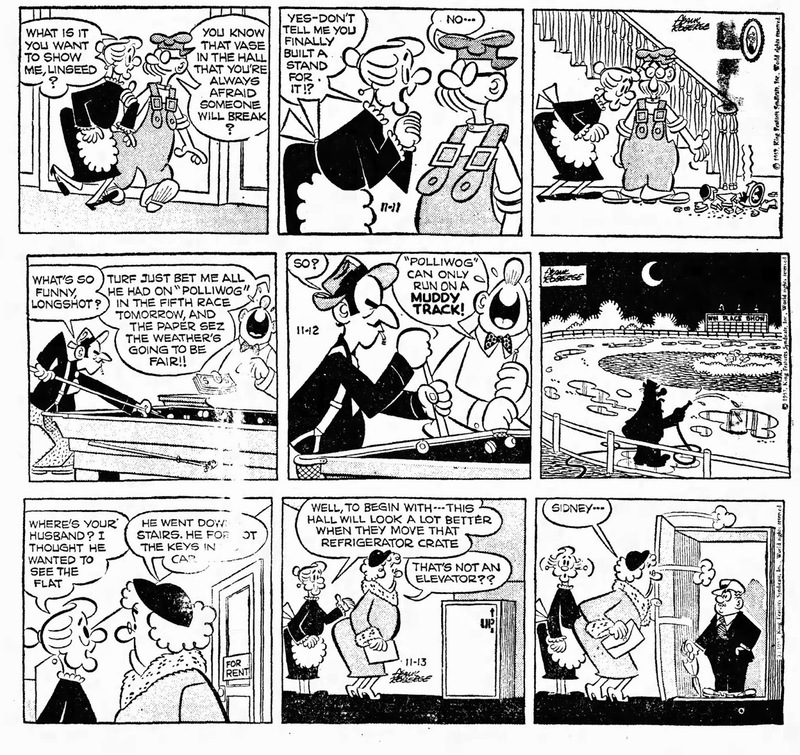 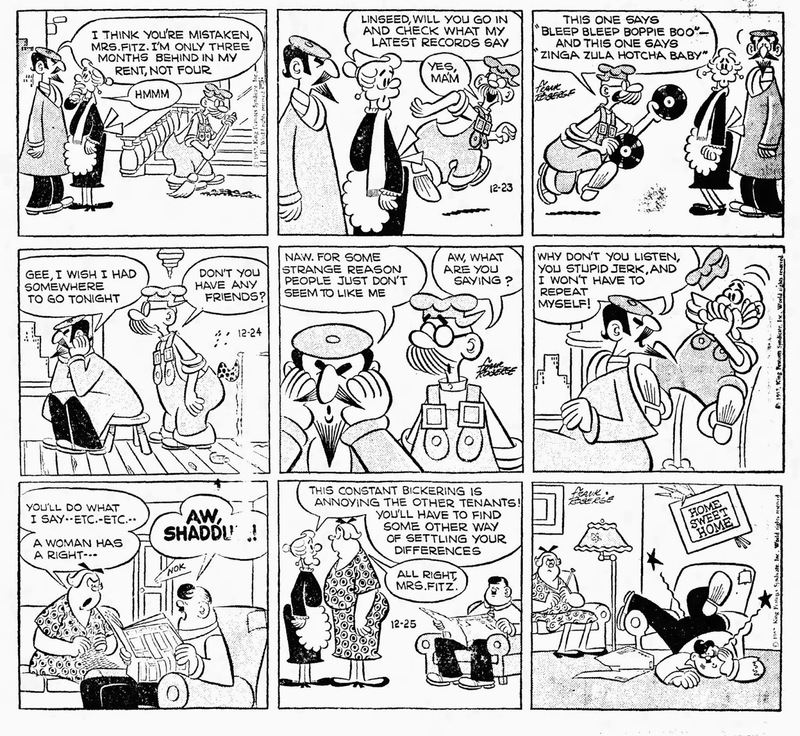 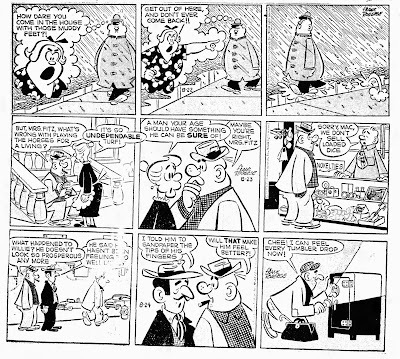 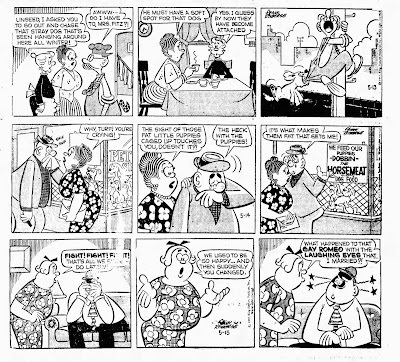 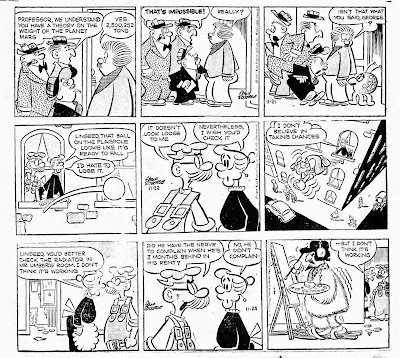 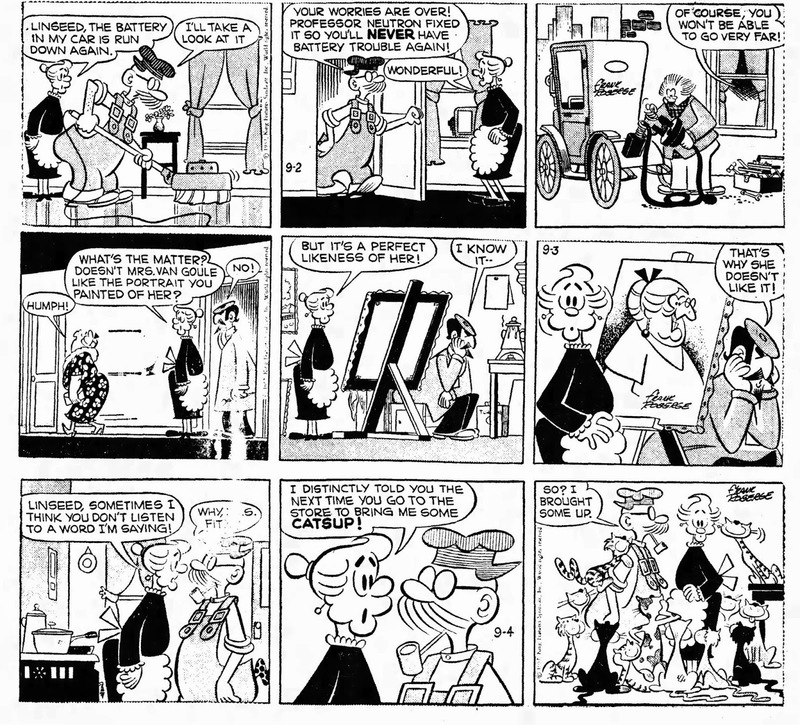 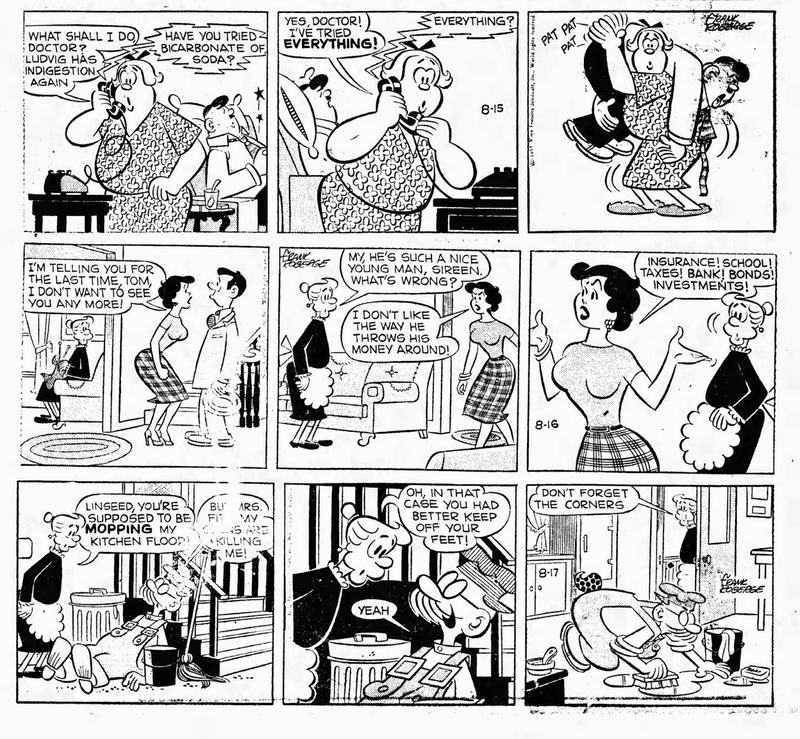 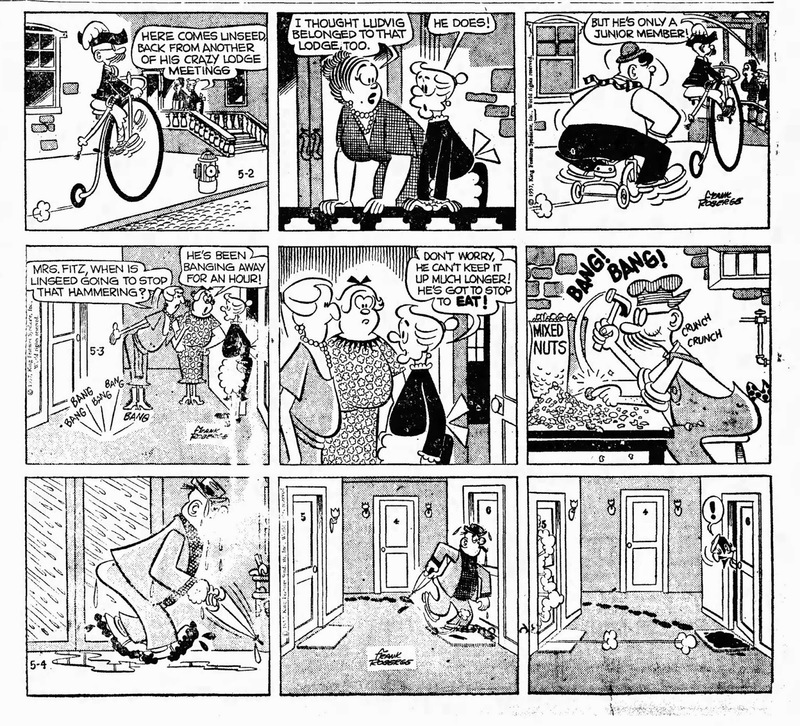 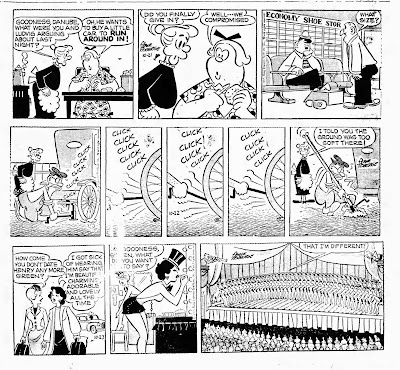 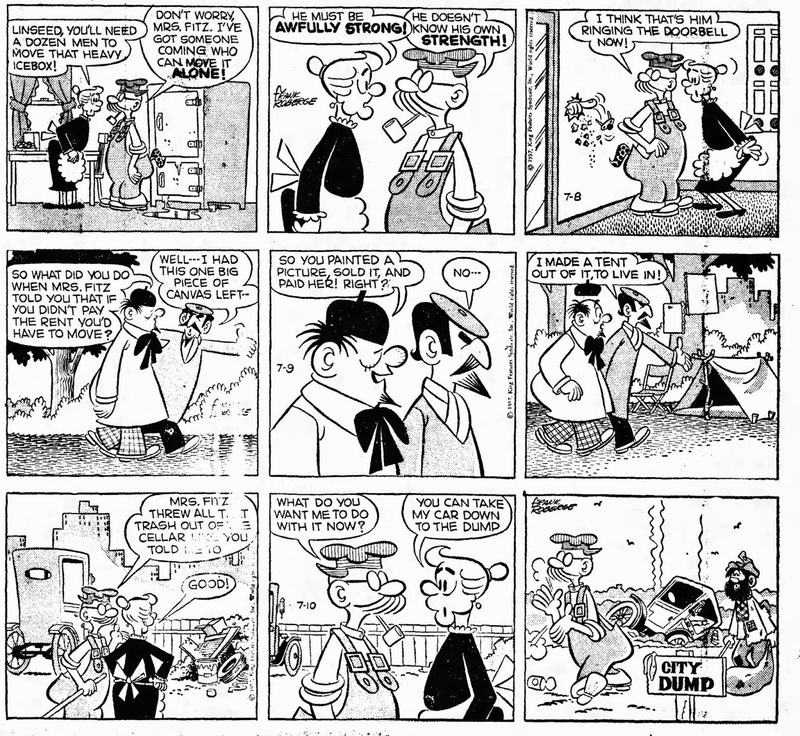 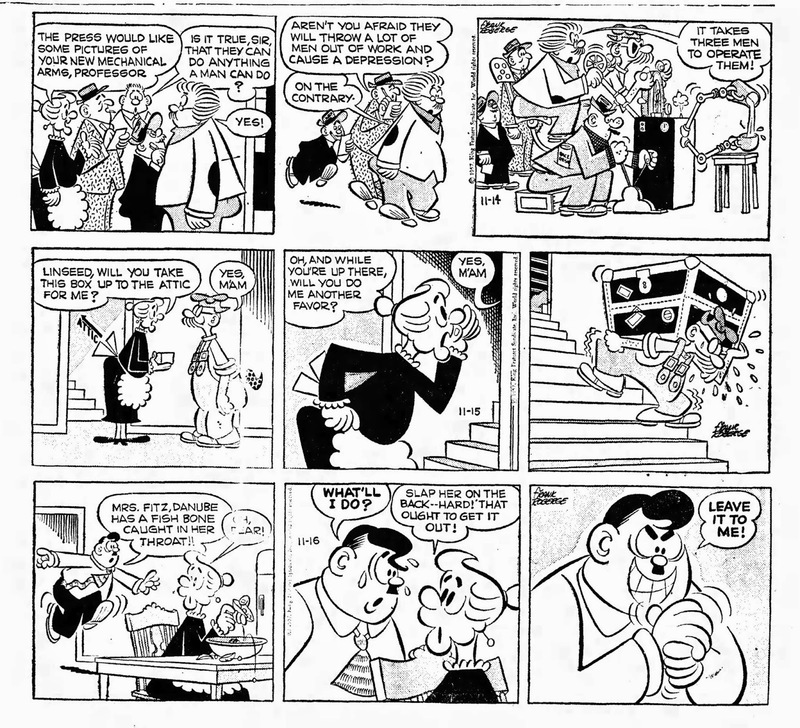 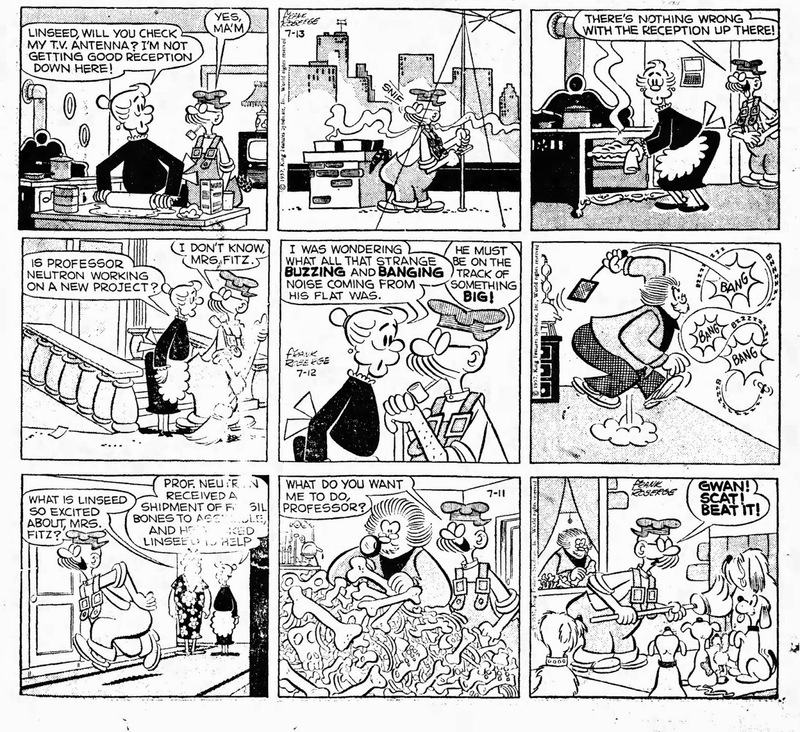 So here, to starrt this off, is a large run of Mrs. Fitz' Flats, possibly the funniest strip done by the Mort Walker 'factory' in the late fifties. 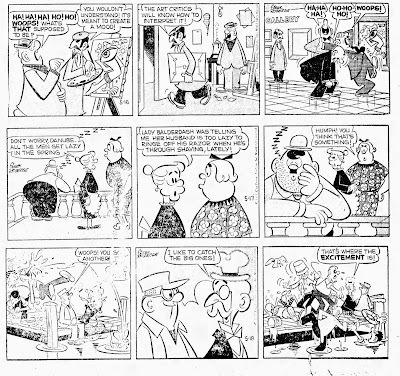 My love for this team, lead by Mort Walker himself and Jerry Dumas amongst others, produced some of the funniest newspaper strips ever made between 1957 and 1961. 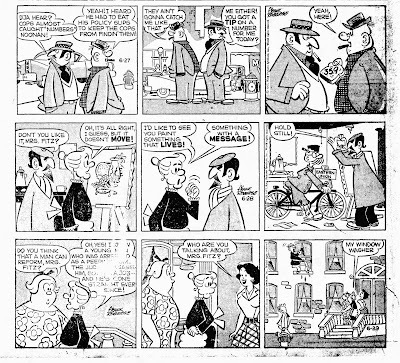 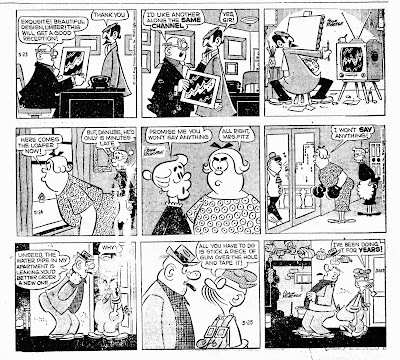 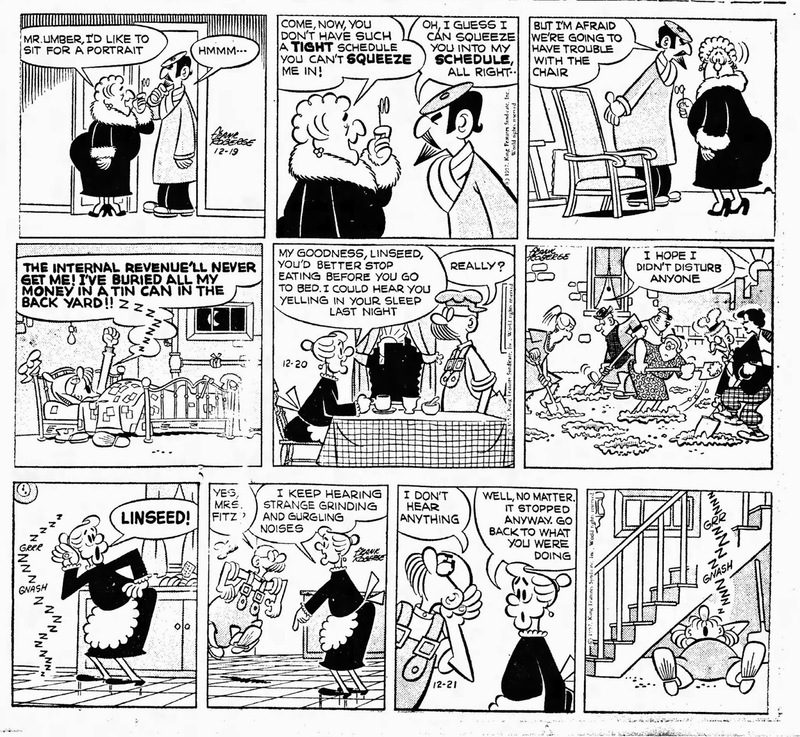 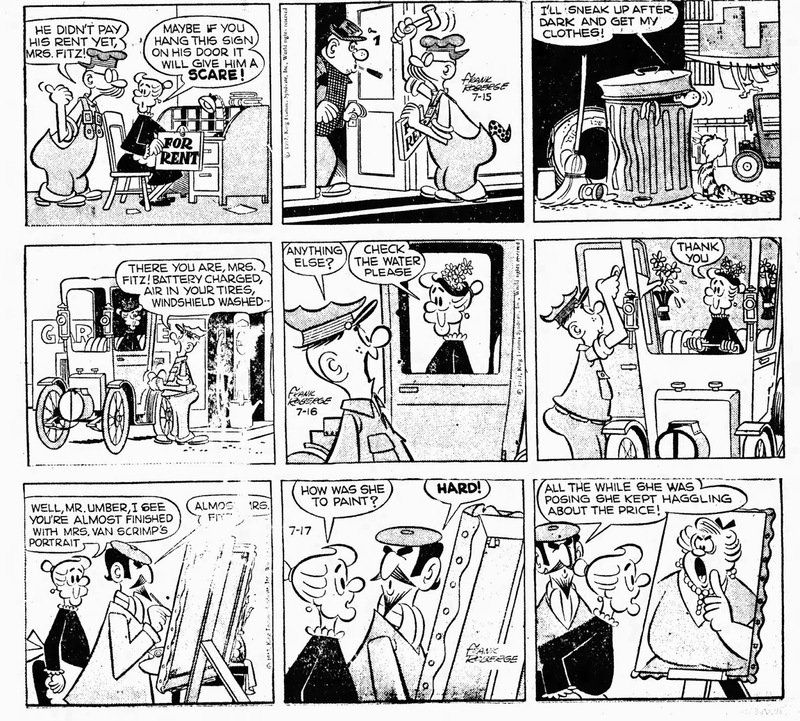 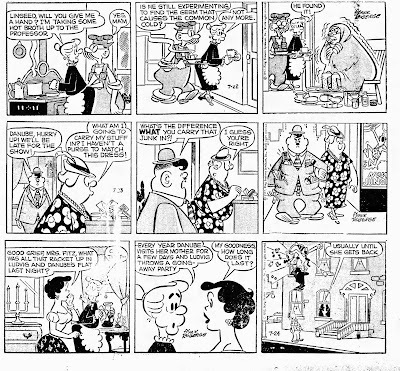 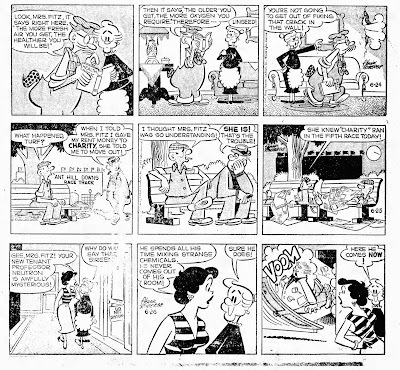 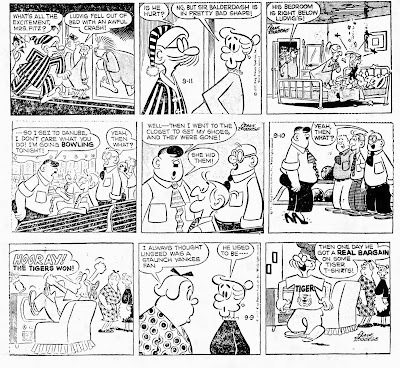 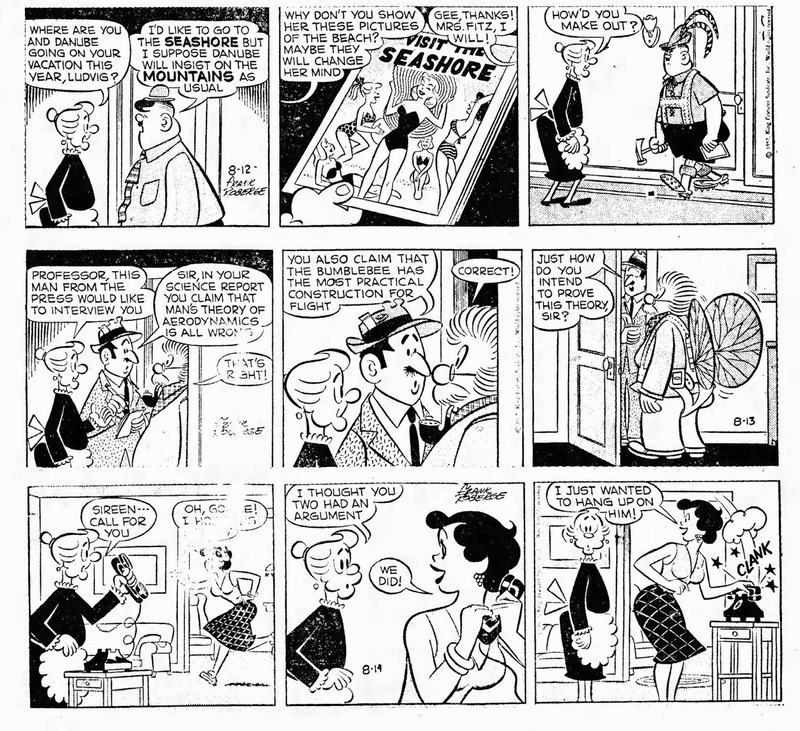 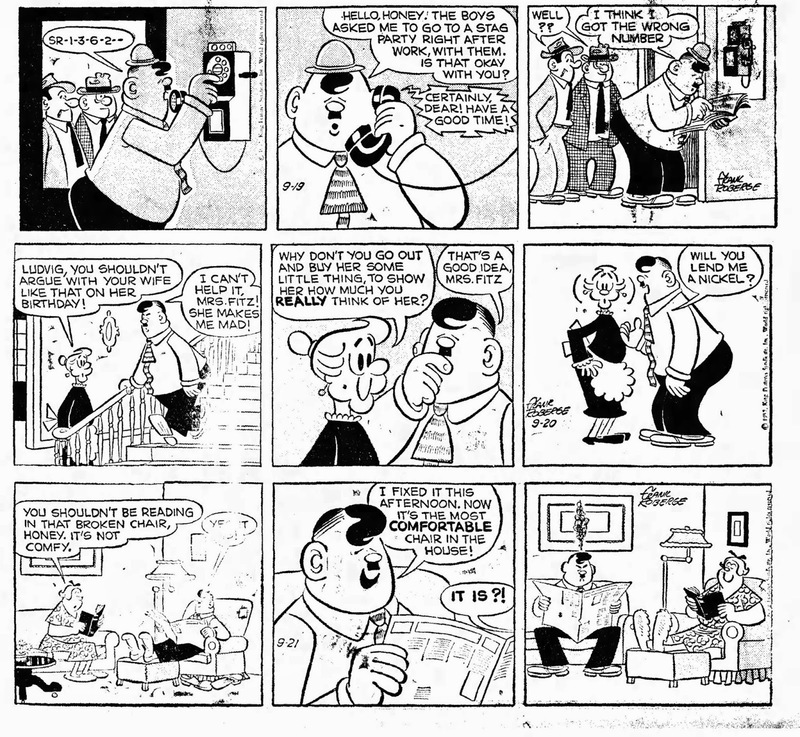 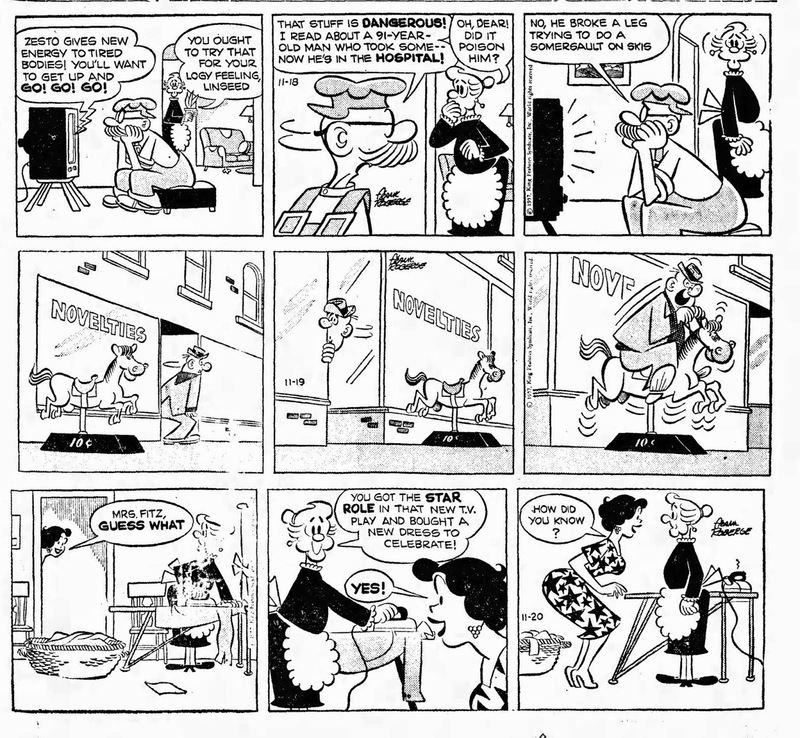 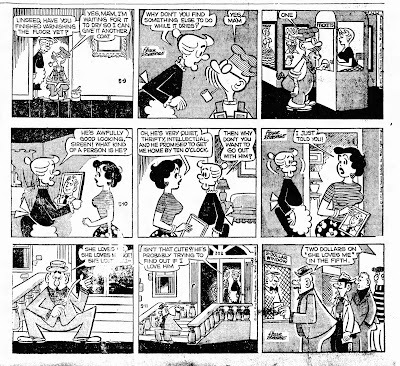 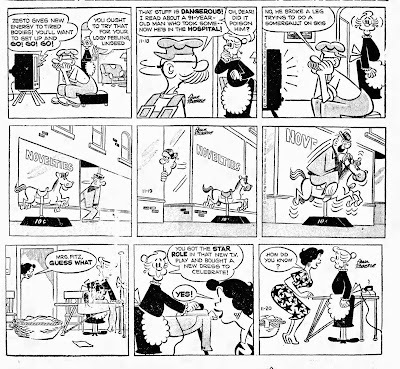 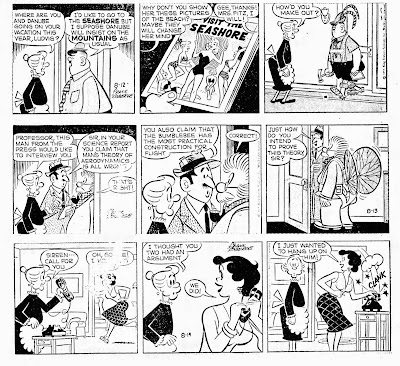 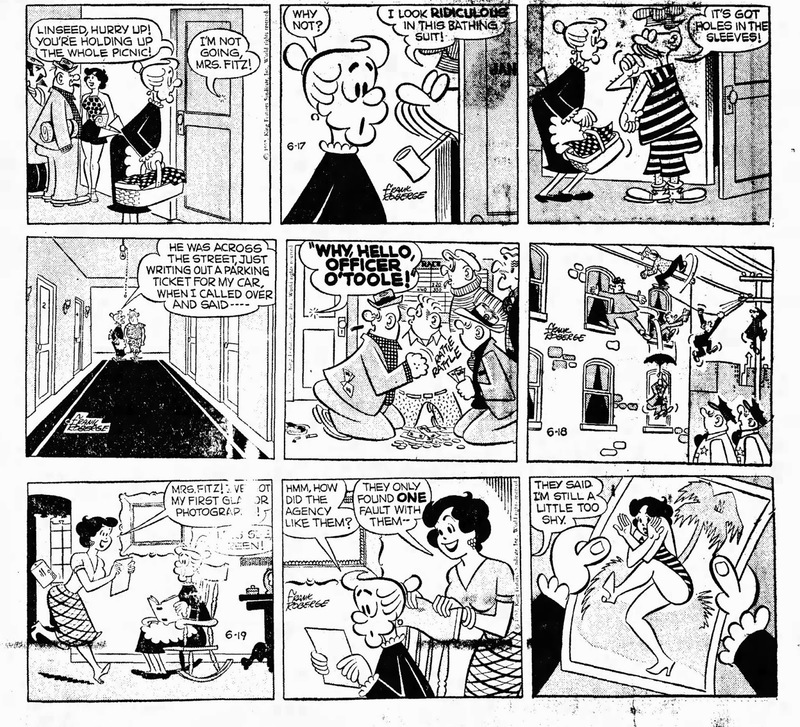 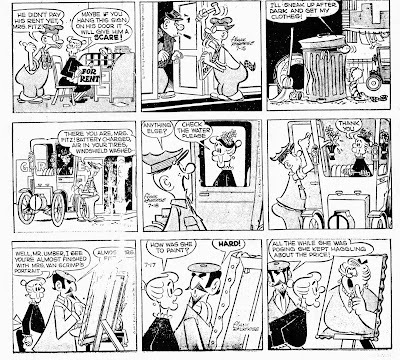 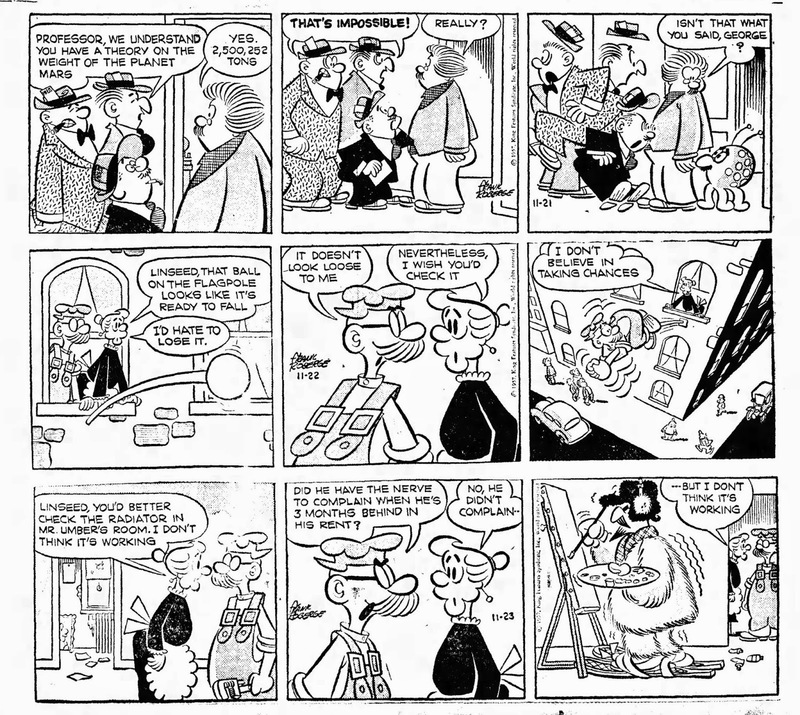 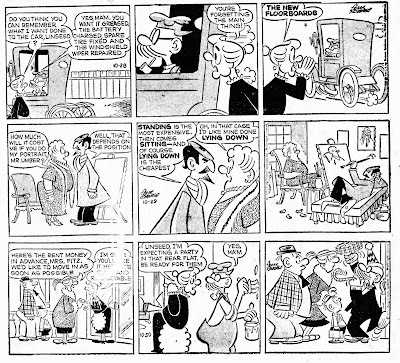 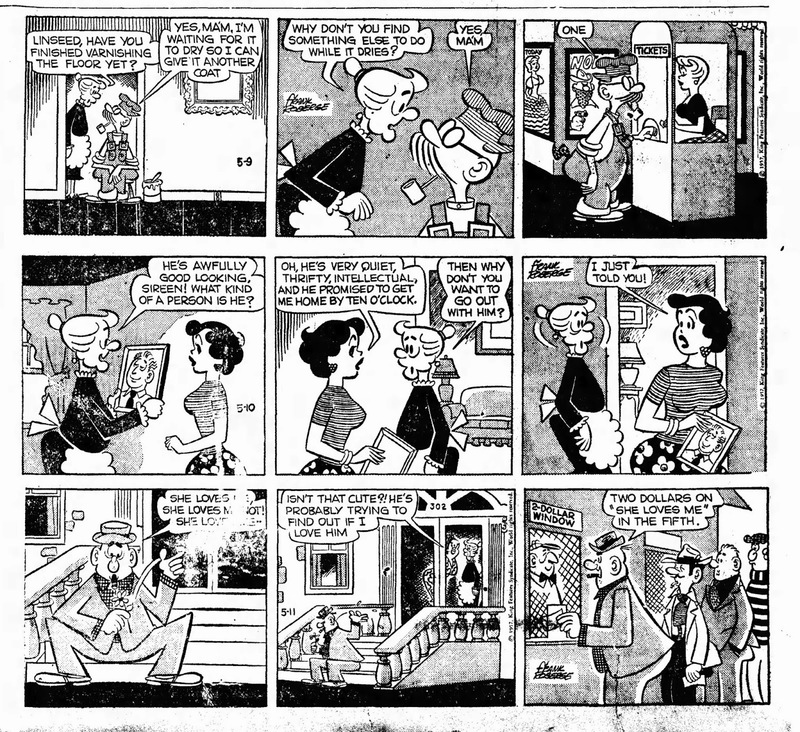 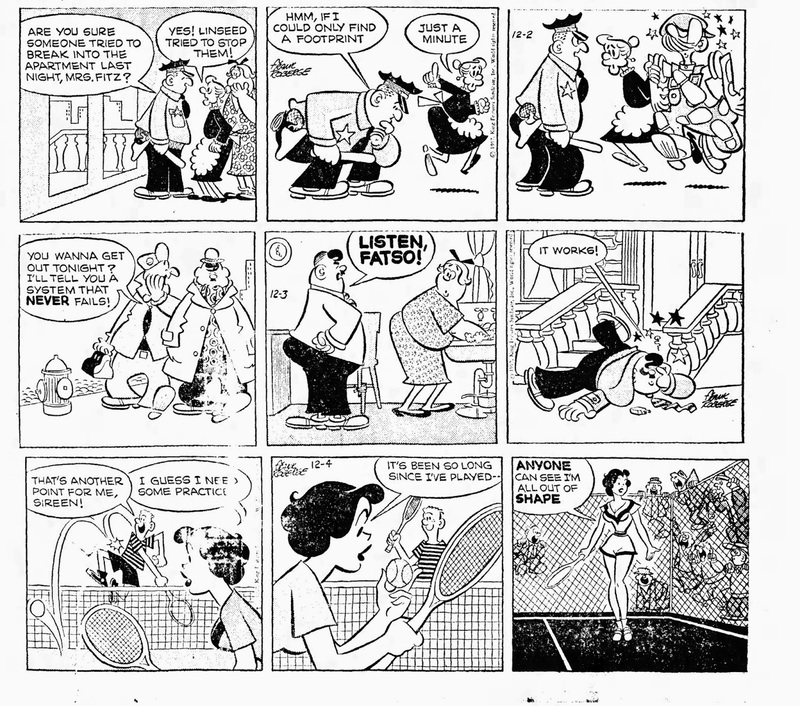 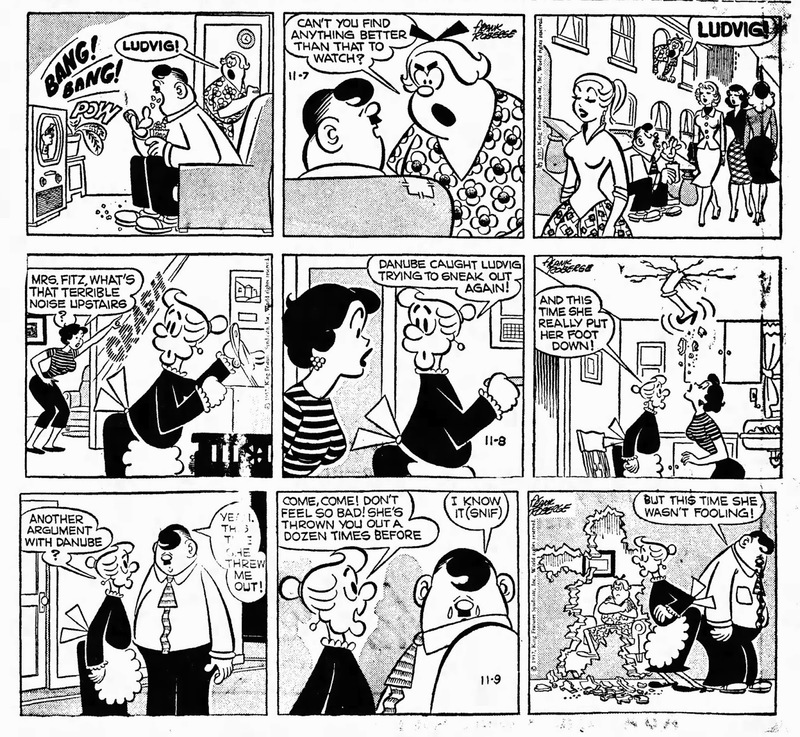 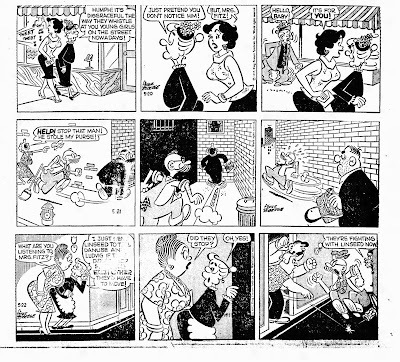 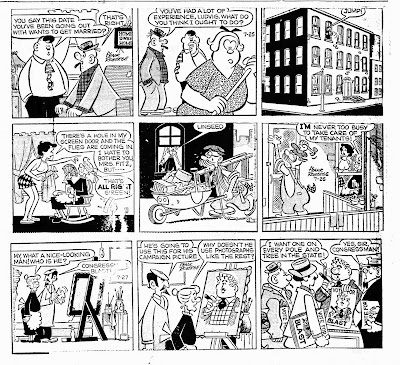 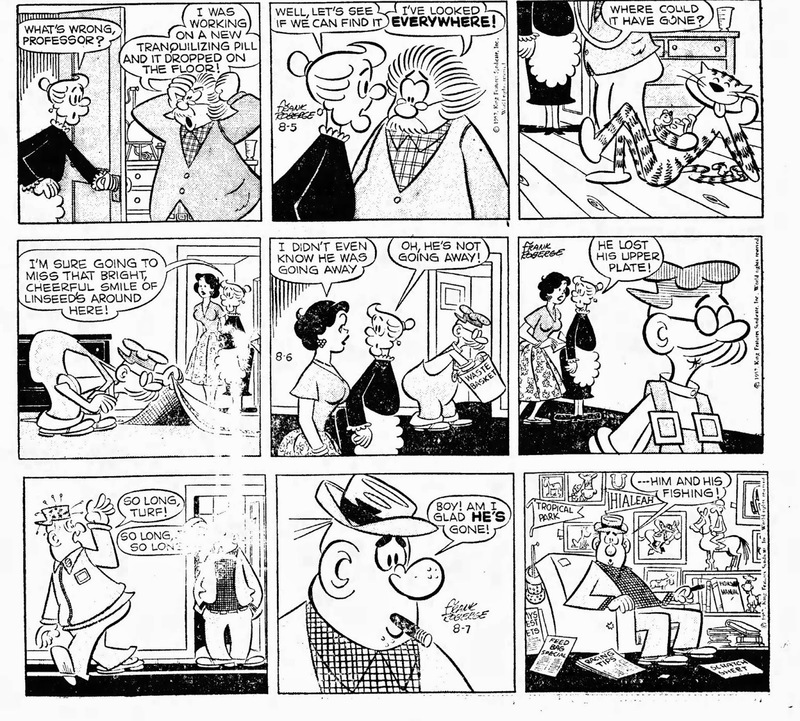 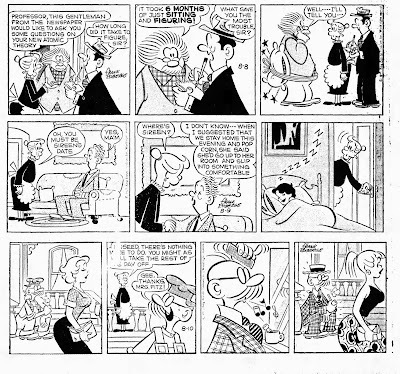 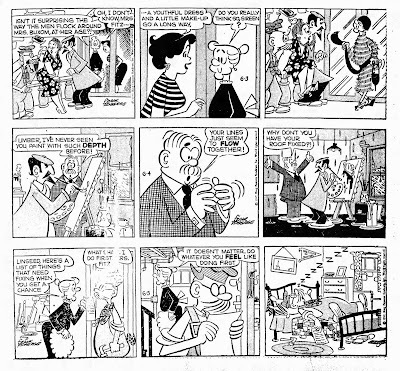 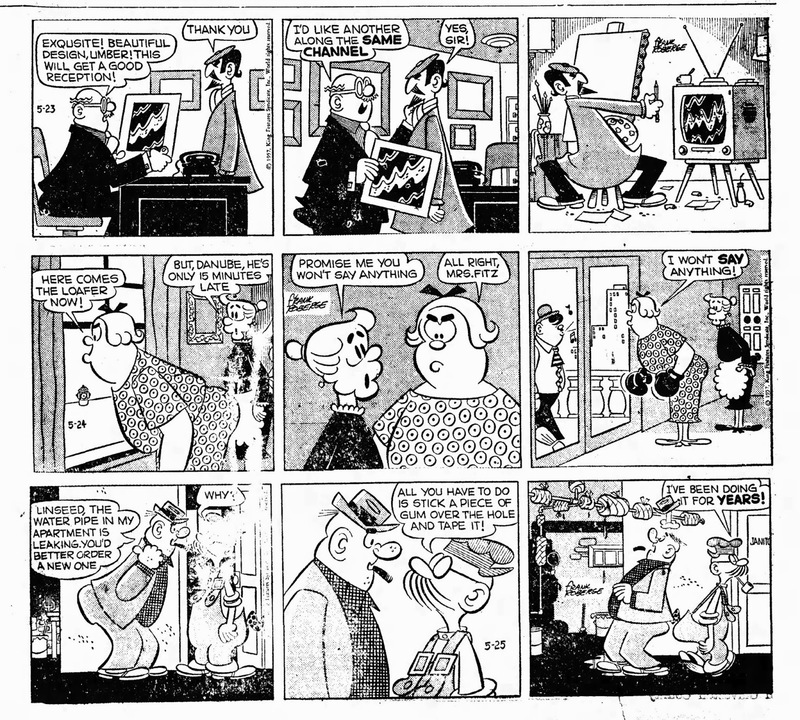 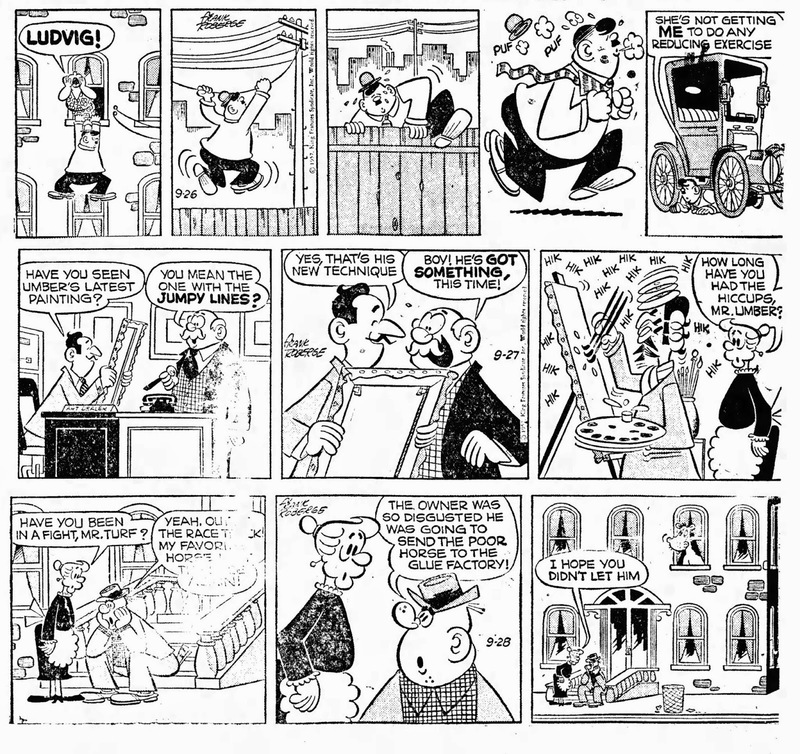 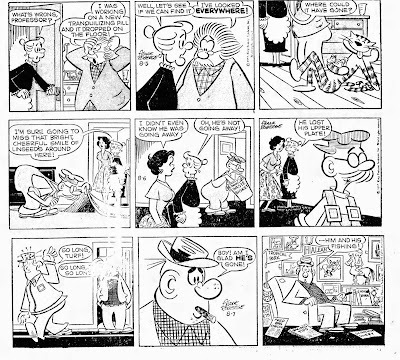 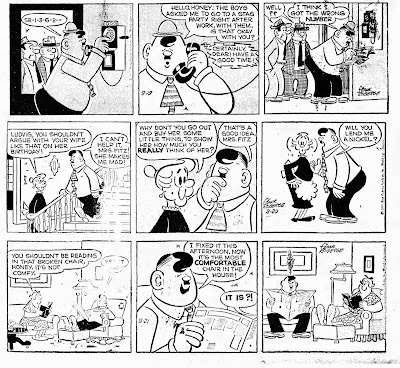 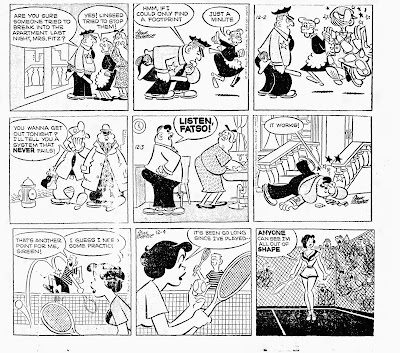 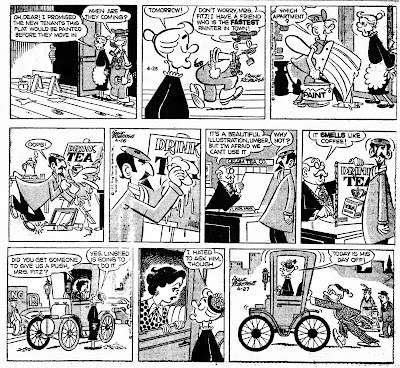 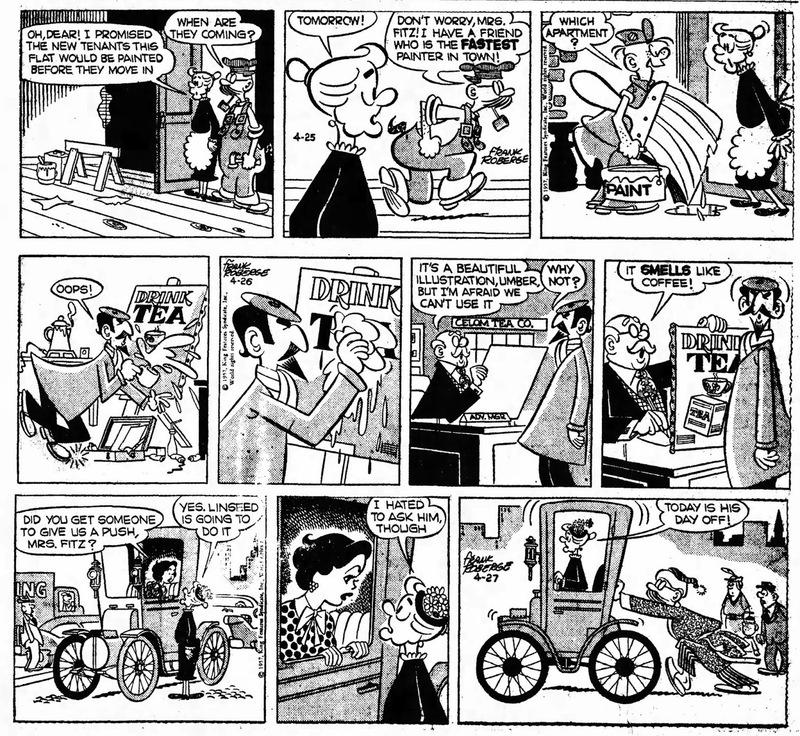 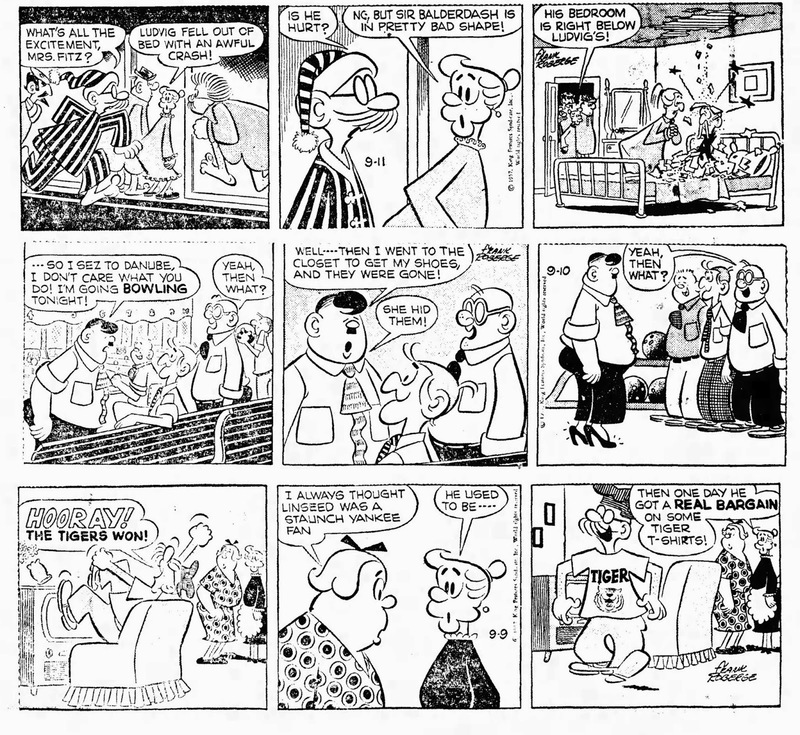 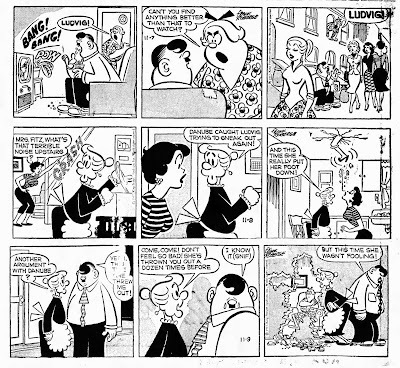 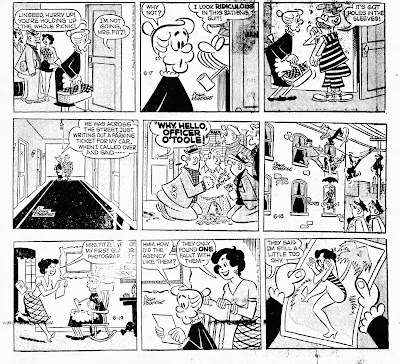 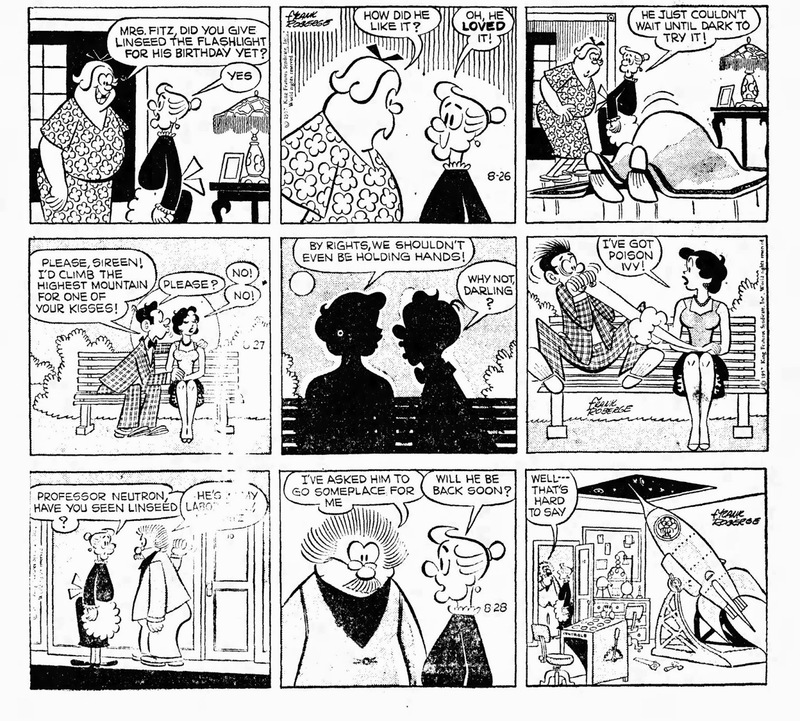 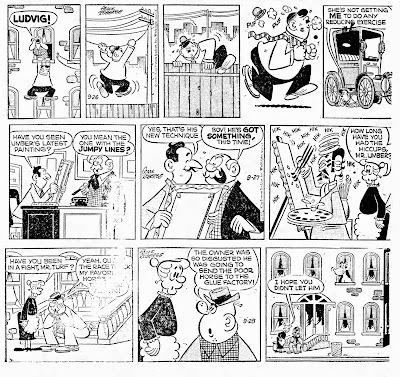 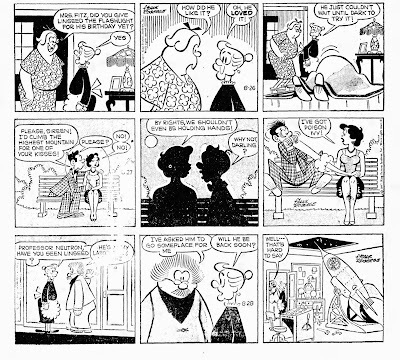 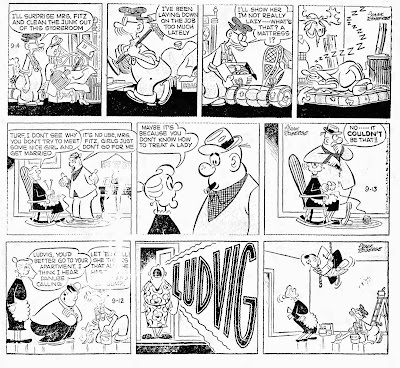 They included Beetle Baily, Hi and Lois, Mrs. Fitz' Flats and their own masterpiece (the only one that is collected in a handy book): Sam's Strip. 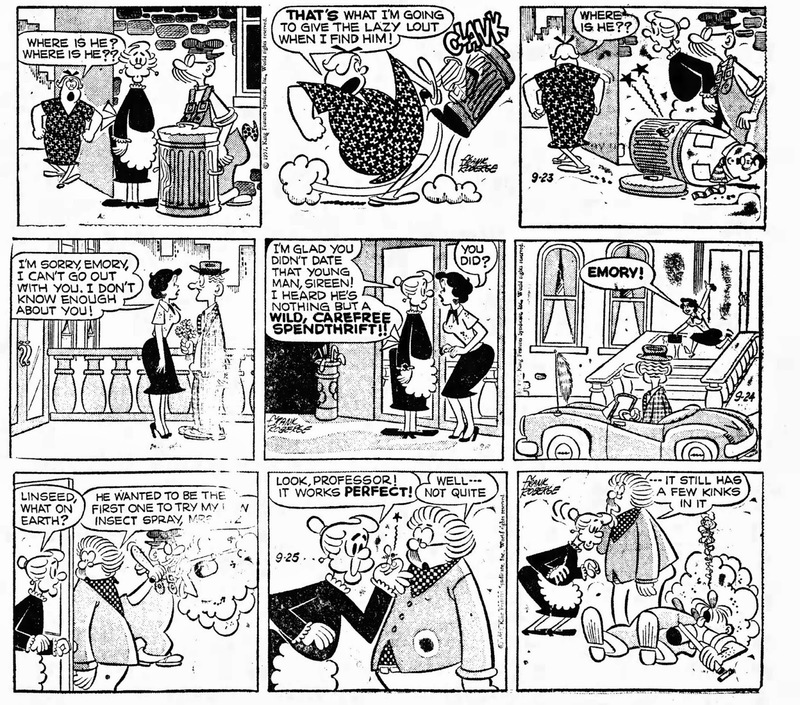 I have shown more of Mrs. Fitz, but never complete and most of them not as early as this run. 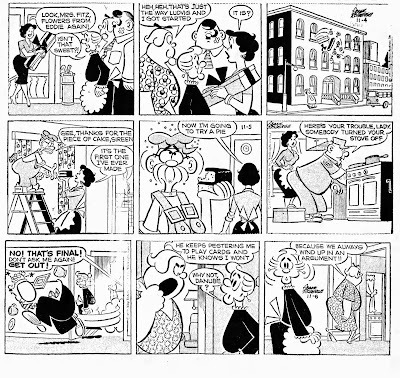 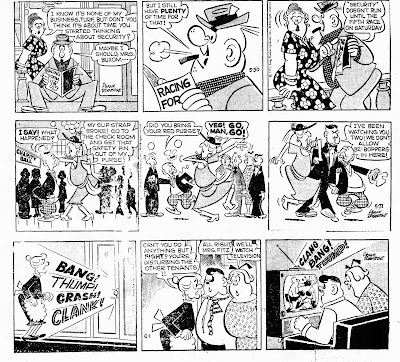 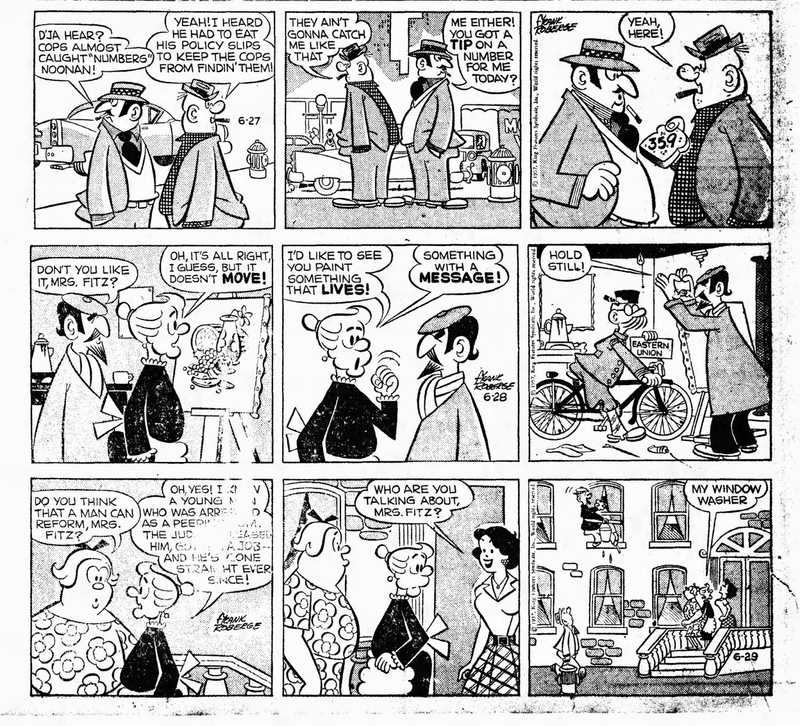 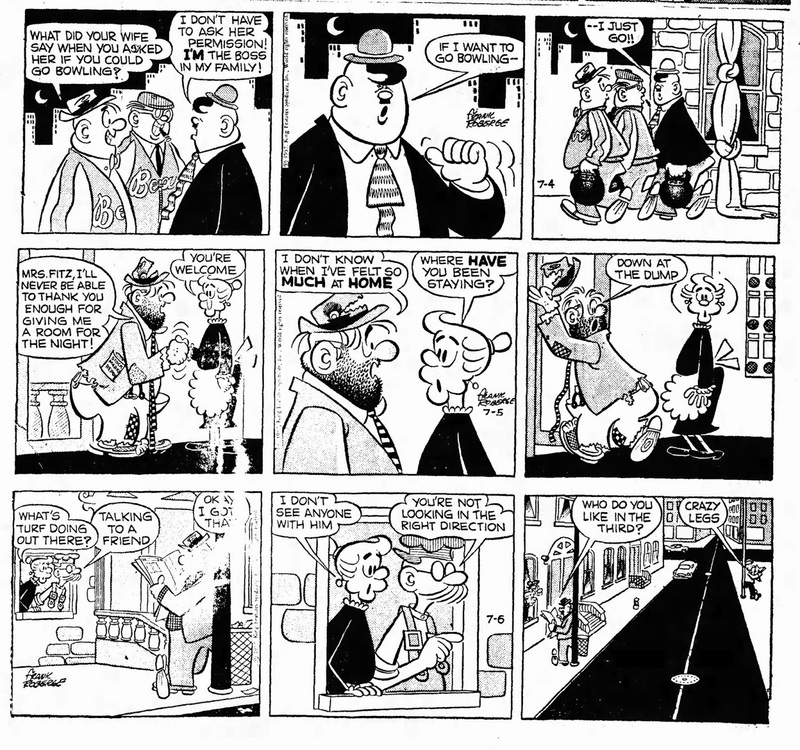 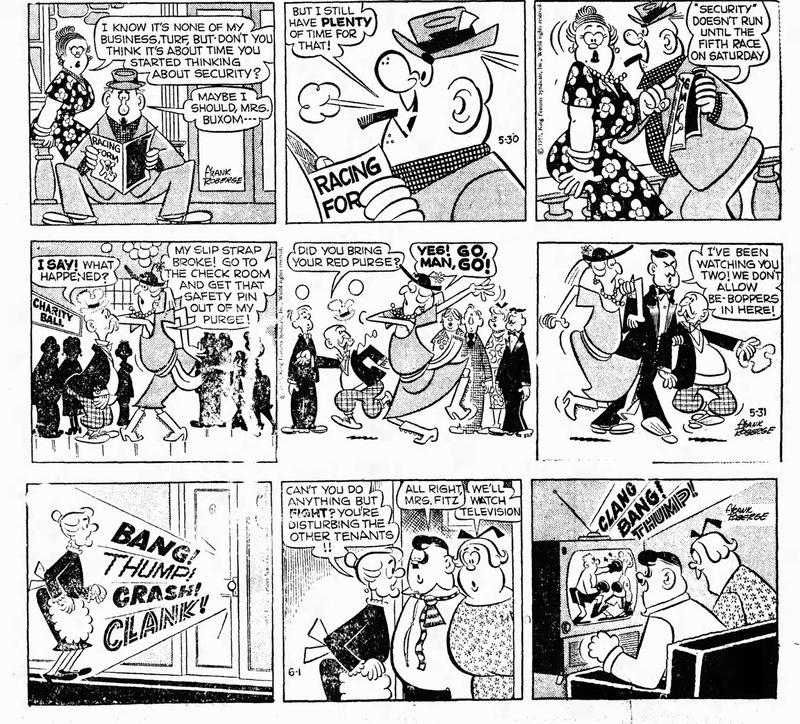 The strip ran intothe fifties, but somewhere in the early sixties Walker and Dumas let artist Frank Roberge (who had also been doing the Beetle Bailey comic books) take the strip over on his own. 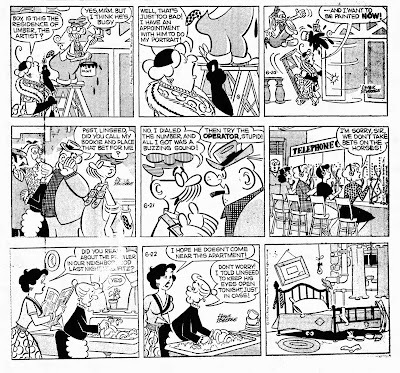 He changed the setting from a boarding house with multiple (and ever changing) characters to that of two elderly people (Mrs. Fitz and her handyman Linseed). 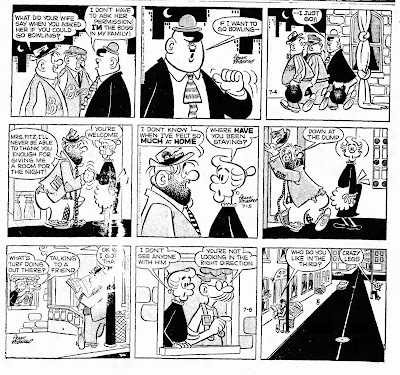 Without the boarders the strip lost it's sarcastic slant and as far as I am concerned everything that made it special. 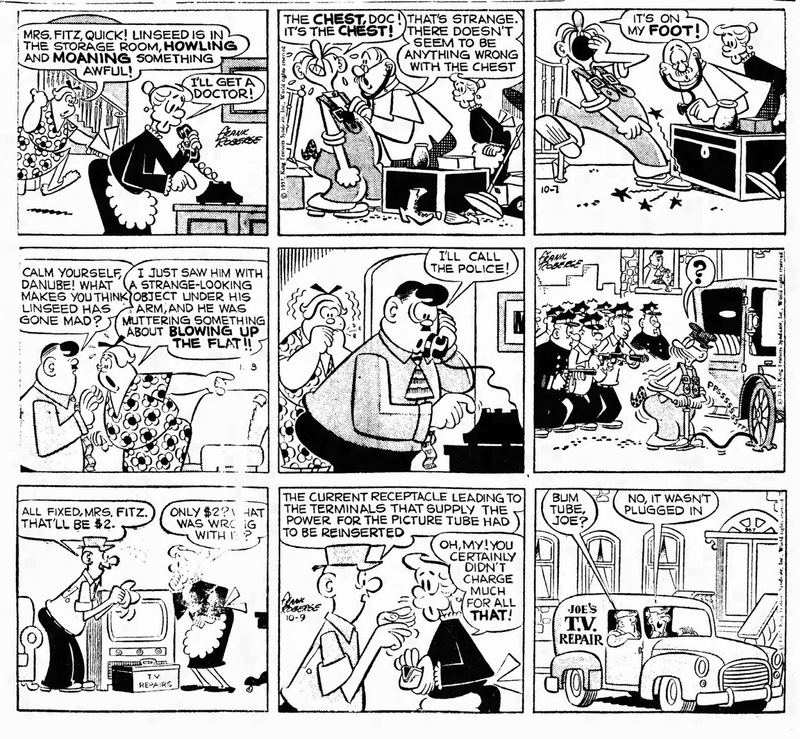 But here are those first eight months in all their glory. 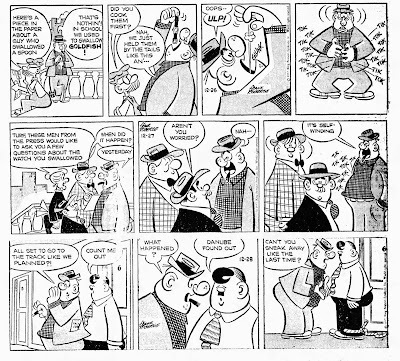 I've tried to email you recently but they are getting bounced back. 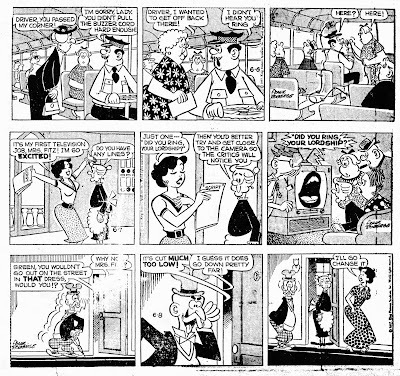 Could you please send me an email with your new address? 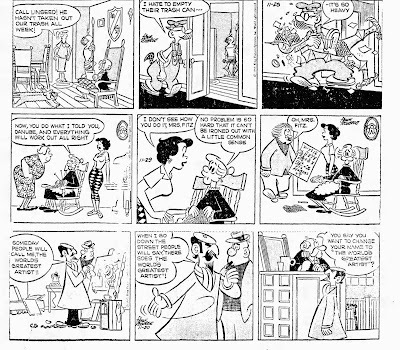 Yes, I have changed email adresses and because they dropped my old one I have to do everything by hand - which is quite chore. You can use my old name but put @upcmail.nl instead.